Our summer adventure finally arrived after tons of research, lists, and checking them twice! 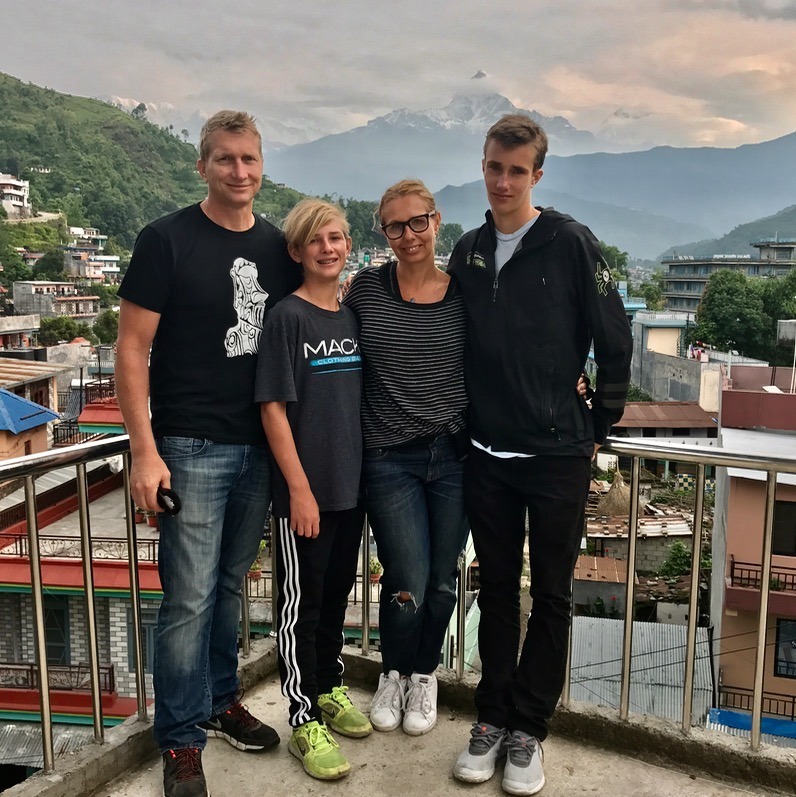 We were traveling Nepal with kids, and heading to Kathmandu via Guangzhou, China. Our layover was just long enough to sample the most delicious dim sum for breakfast. 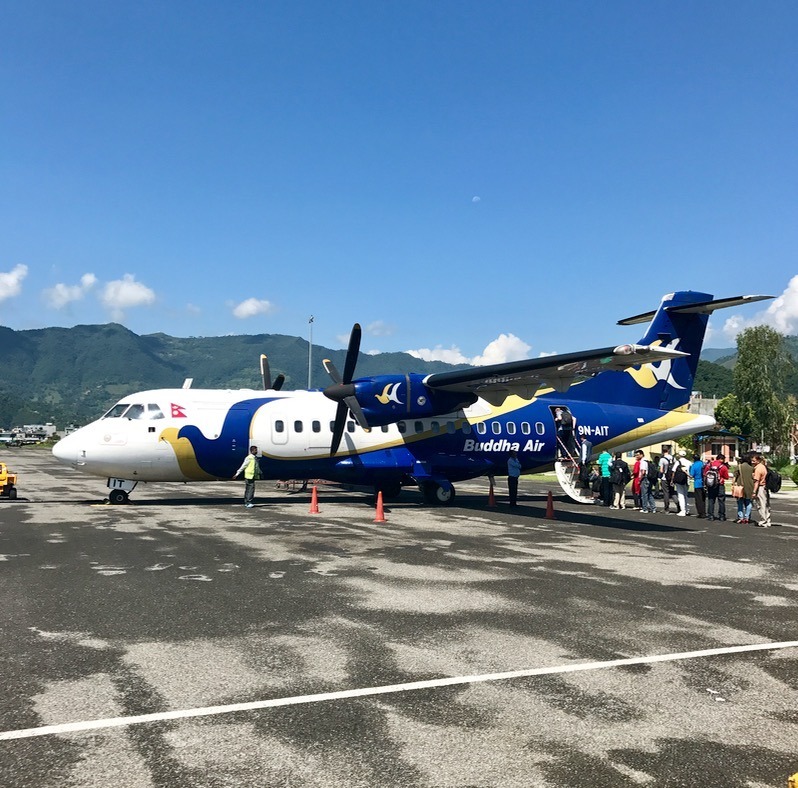 The flight into Kathmandu was simply breathtaking with panoramic views of the Himalayas from both sides of the plane. 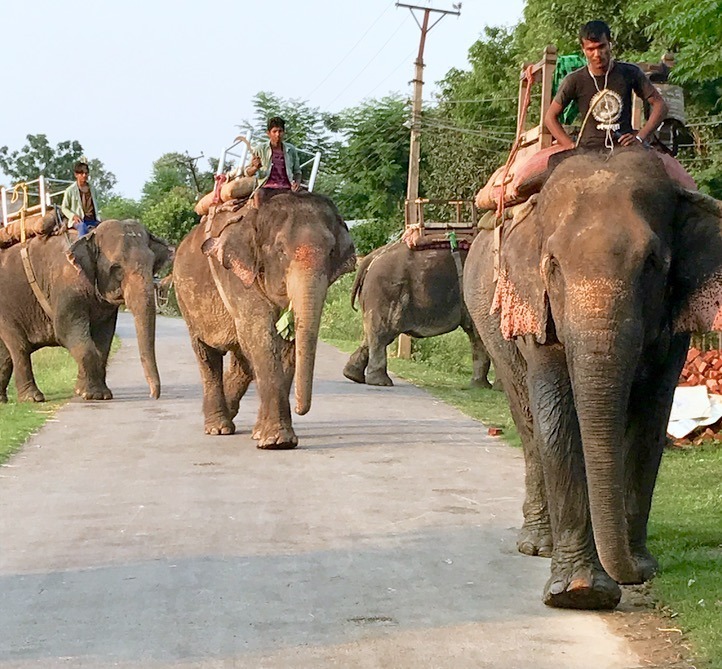 We landed, picked up our Nepalese visa (you’ll save a ton of time if you complete the paperwork online first), and collected our luggage. 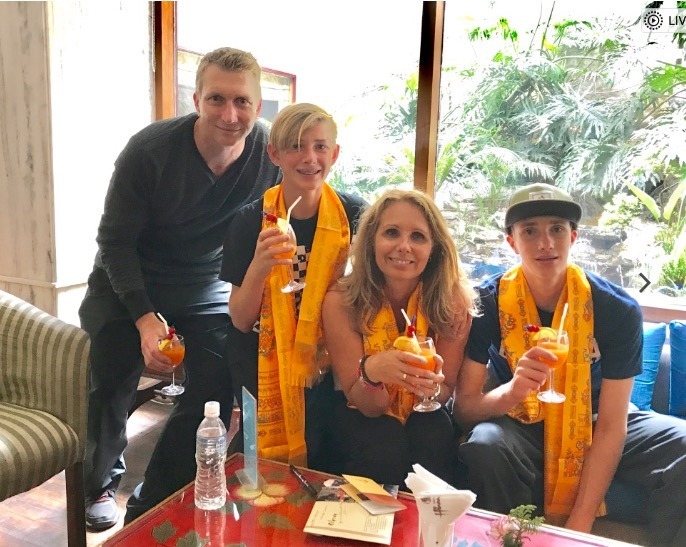 We were greeted at Hotel Himalaya with fresh papaya juice and a traditional Nepalese welcome. After the 24hr journey, we were ready to rest and freshen up. It was lunchtime, we were all starving, and instead of dining in a local restaurant, we decided to avoid ‘Hangry’ (stop looking at me!!!) family members and eat lunch in the hotel (which is usually a no-no for us), to begin the afternoon adventure with full tummies. 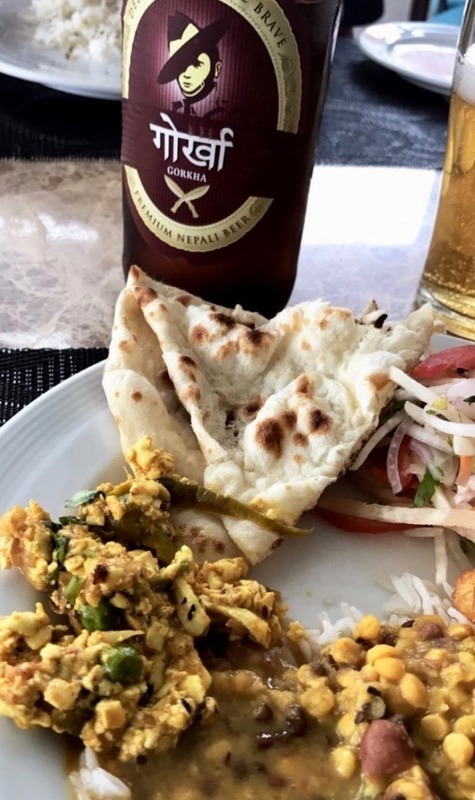 We devoured our first curry, naan bread, Everest local beer and milk shakes. 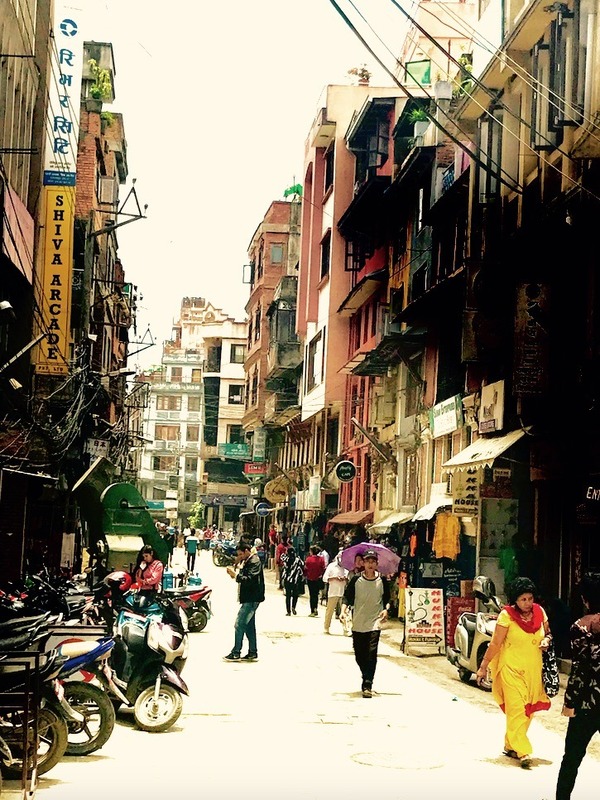 That was a great call… we were fed, and ready to explore Kathmandu. We immediately realized the stifling heat and poor air quality might be a problem. 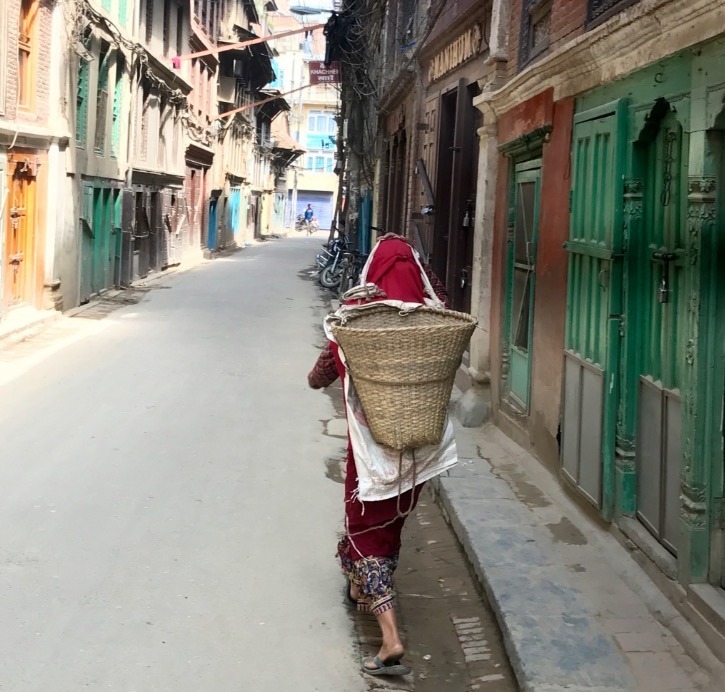 In fact most people wear medical masks in Kathmandu to avoid inhaling dust from the busy city, earthquake rebuilding (there is construction everywhere and masks are highly recommended) and the dense population. 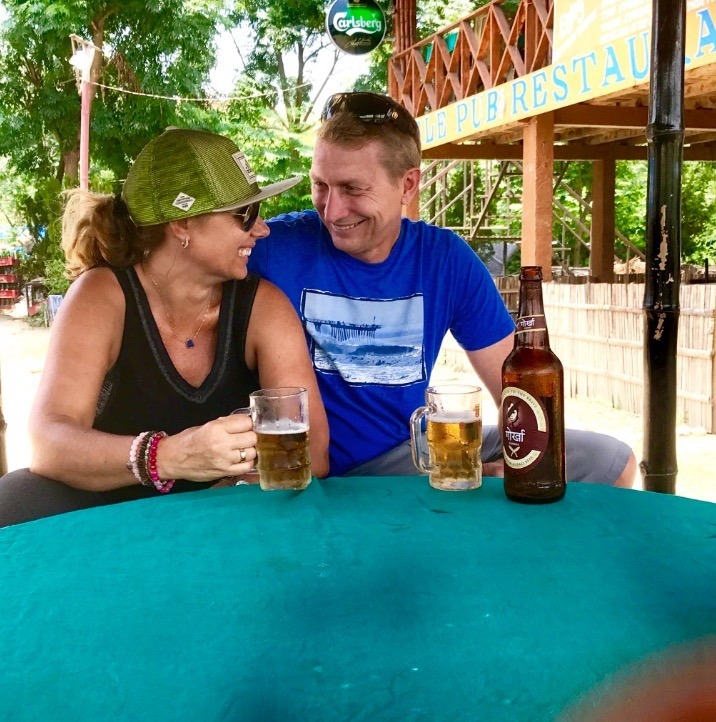 We explored the city, found our lay of the land, window shopped, fought off street vendors, stopped for more cold beer (hey don’t judge, we were on vacay!) and headed back to the hotel for the night to try and reset our body clocks. 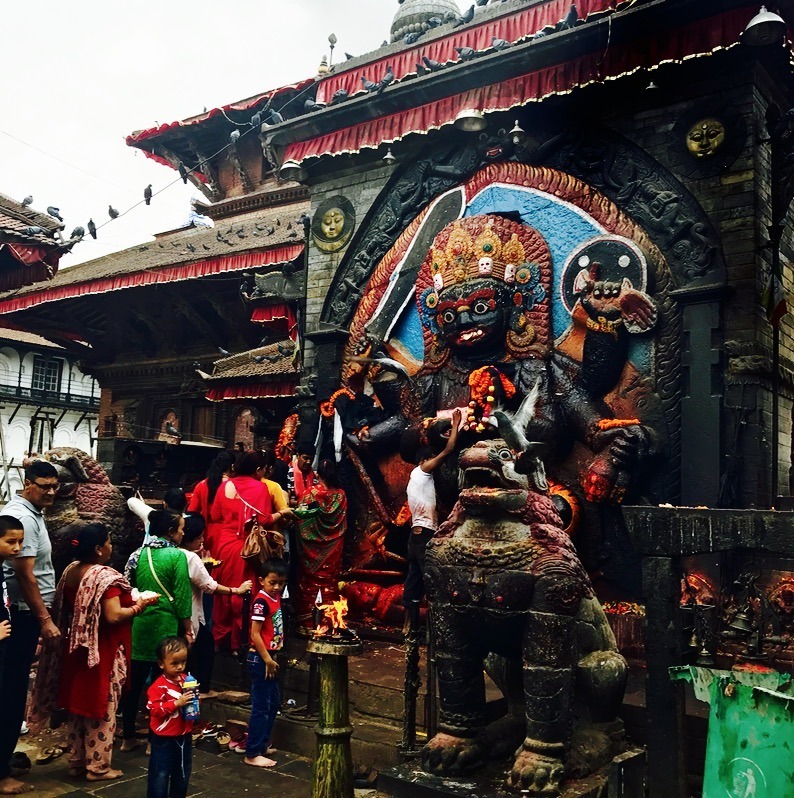 Our guide and driver gave us the insider tour of Kathmandu over the next couple of days. 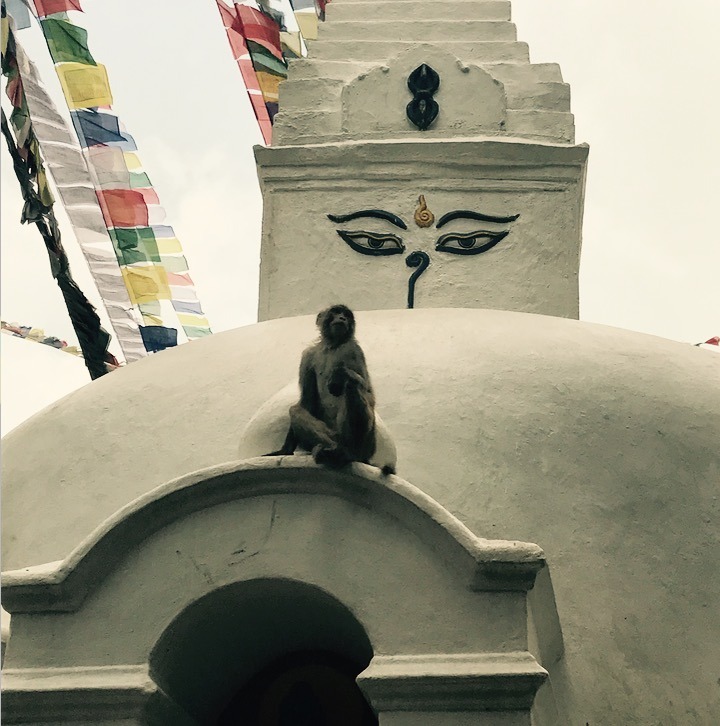 After an amazing breakfast of fresh fruits and curry, we headed to our first stop, Swayambhunath monkey temple. 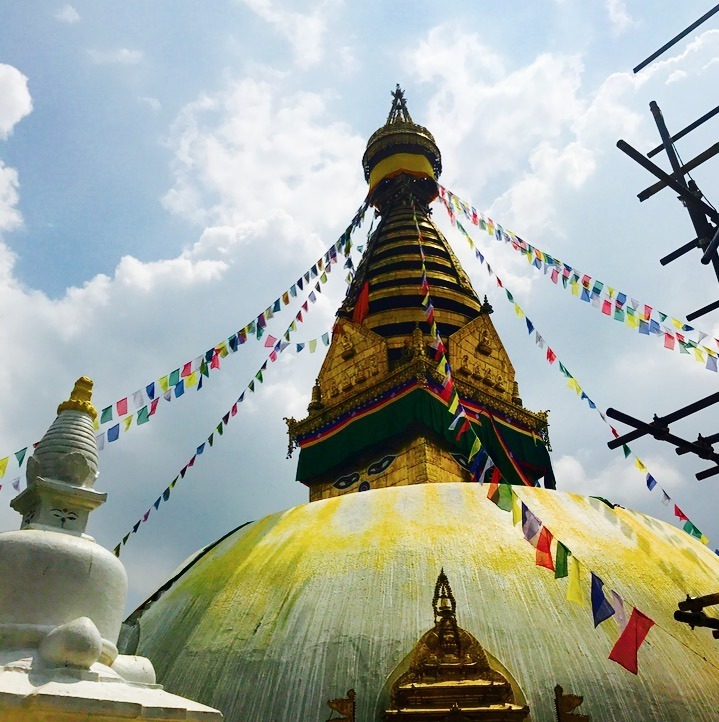 This incredible Stupa high in the hills overlooks the whole Kathmandu Valley. You can probably guess based on the name, there were hundreds of wild monkeys roaming the temple. 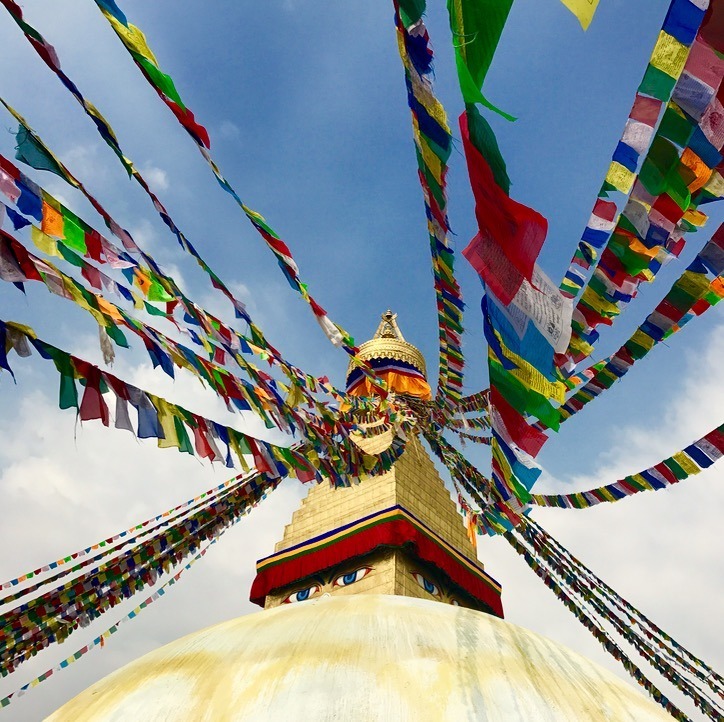 We were breathless and sweating as we climbed steep steps to the temple, but the panoramic view of the valley, the pretty prayer flags, and the ancient Stupa made it all worthwhile. 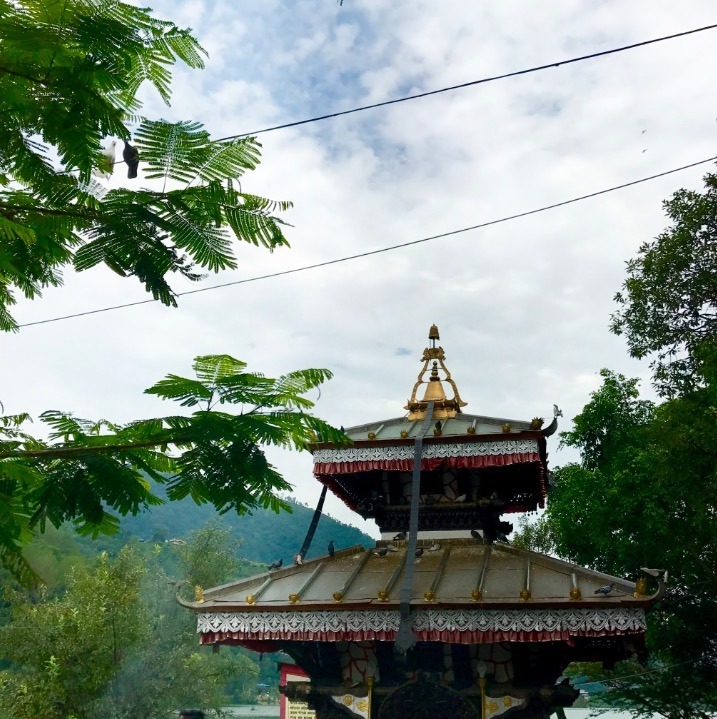 This was our first introduction to prayer wheels, which are found all over Nepal and Bhutan, and we learned how local devotees create a ritual circumnavigating the Stupa, spinning the prayer wheels set into it’s base, while they pray. 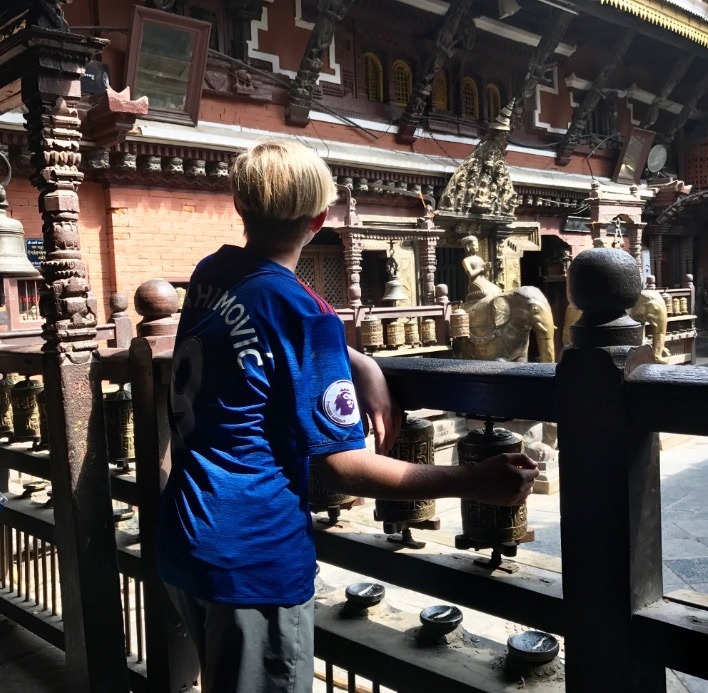 We visited Kathmandu Durbar Square, Hanuman Dhoka Palace, and the Kumari Ghar Temple. 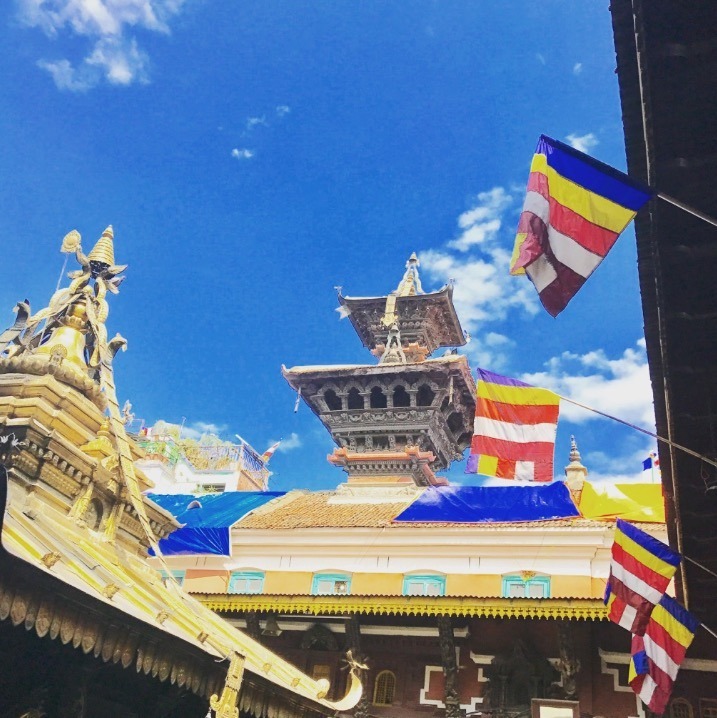 Kathmandu Durbar square is a UNESCO World Heritage Site and the epicenter of Kathmandu’s cultural and tourist attractions. 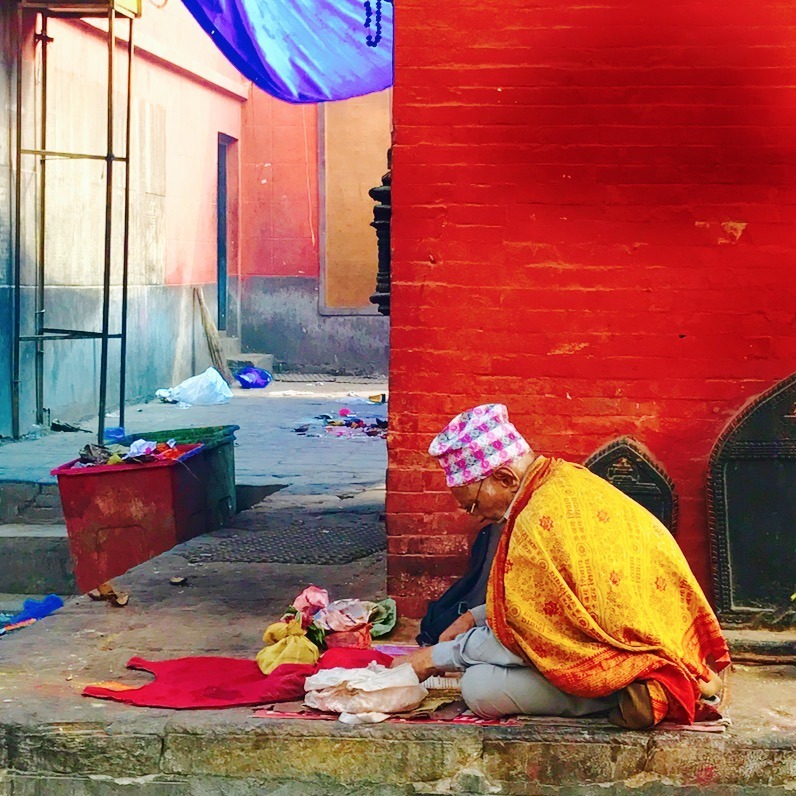 Durbar Square, with its old temples, palaces and street vendors, was bustling with life and culture. 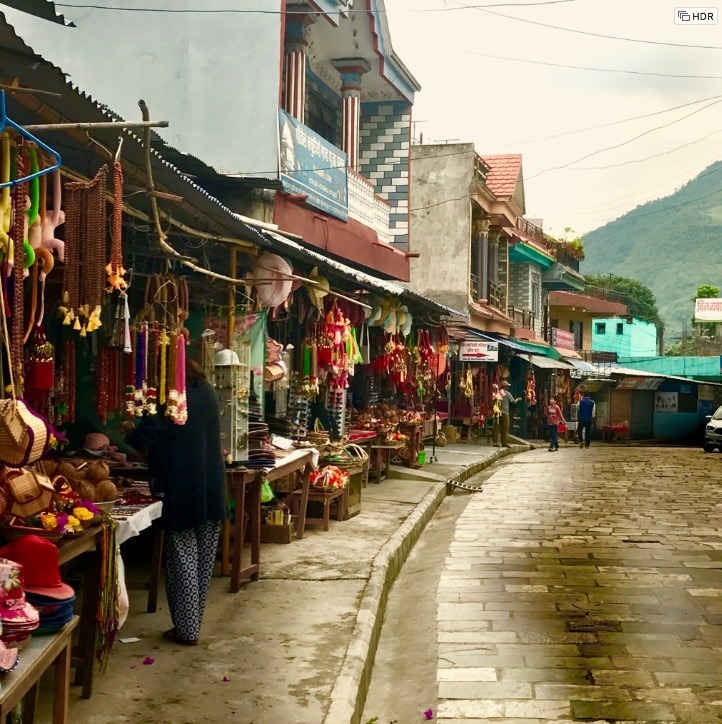 We did find particularly aggressive vendors here, but we also found some treasures in this area, and it’s a great place to shop. 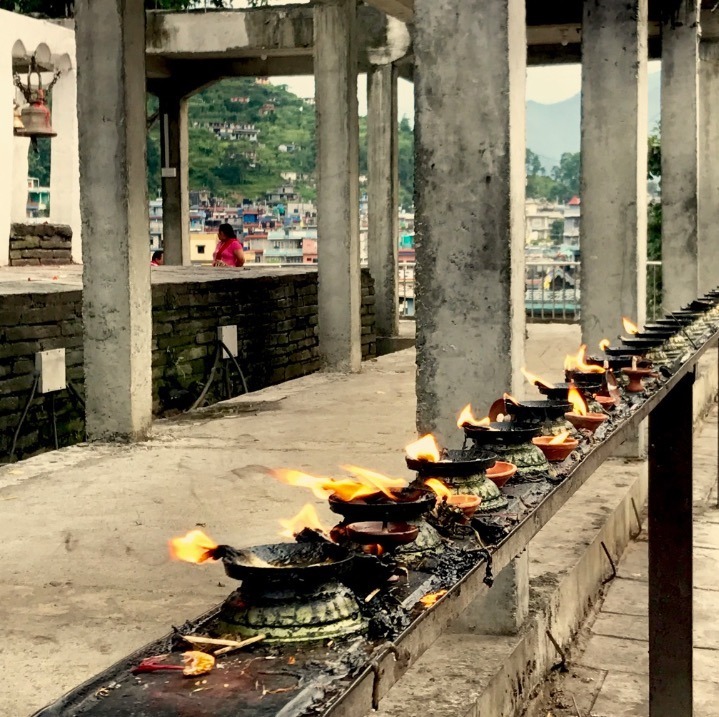 Perhaps the most interesting area was the private visit to the Kumari Ghar Temple to see if the Kumari living goddess would make an appearance! Of course both boys were fascinated to learn more, yet quite skeptical too. The Kumari is a young girl believed to be the incarnation of the Hindu goddess Durga. 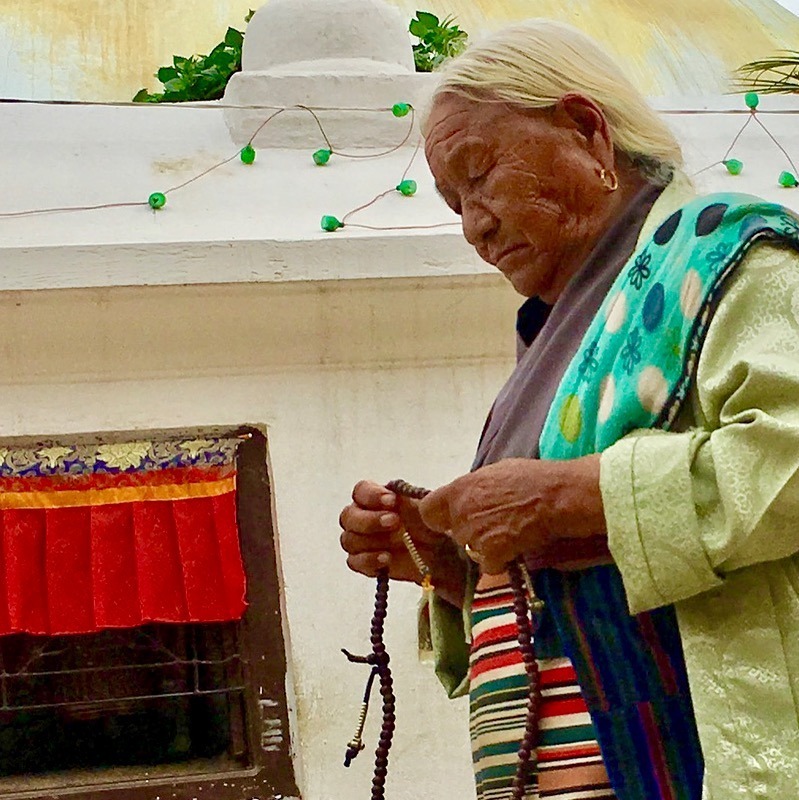 She is chosen from girls aged three to five in the Buddhist Shakya clan, is worshipped by many, lives an isolated and secretive existence inside the temple and her feet NEVER touch the ground during her tenure!! (for real!) 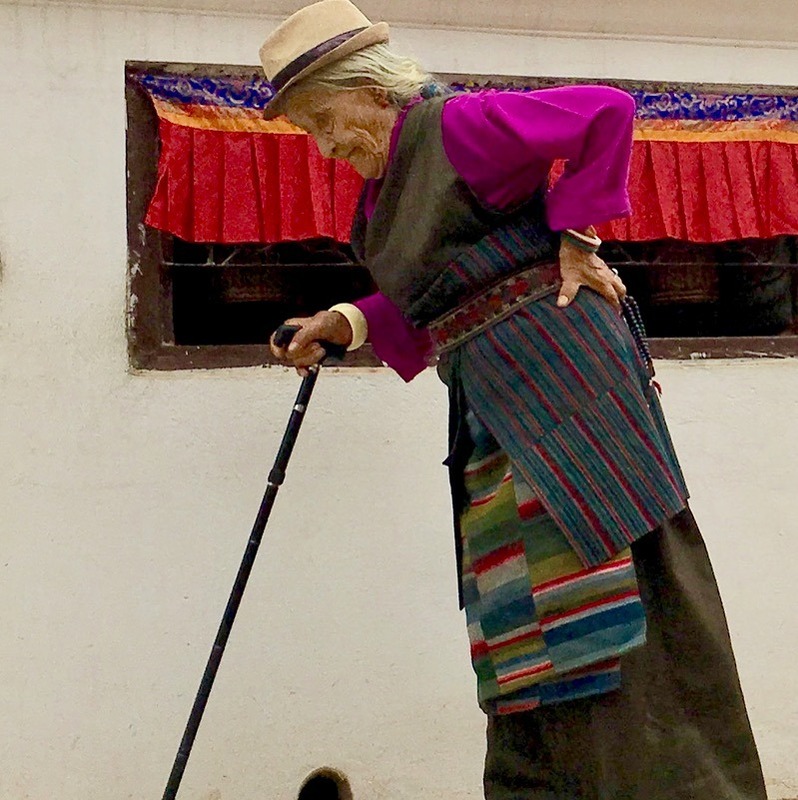 We were told that the Kumari ‘sometimes’ appears’, especially if her handlers are paid well. “Cough cough total scam” said Julian under his breath… I nudged him hard, and sternly whispered for them to keep an open mind. It turns out as we were waiting for the Kumari to appear, AND after we tipped her ‘handlers’, she appeared! I don’t mean to be cynical, and in full disclosure haven’t learned a whole lot about the Kumari, but my first instinct was to agree with Julian’s initial comment. Regardless it was fun, we joked about mom being a goddess, and headed to our next stop. 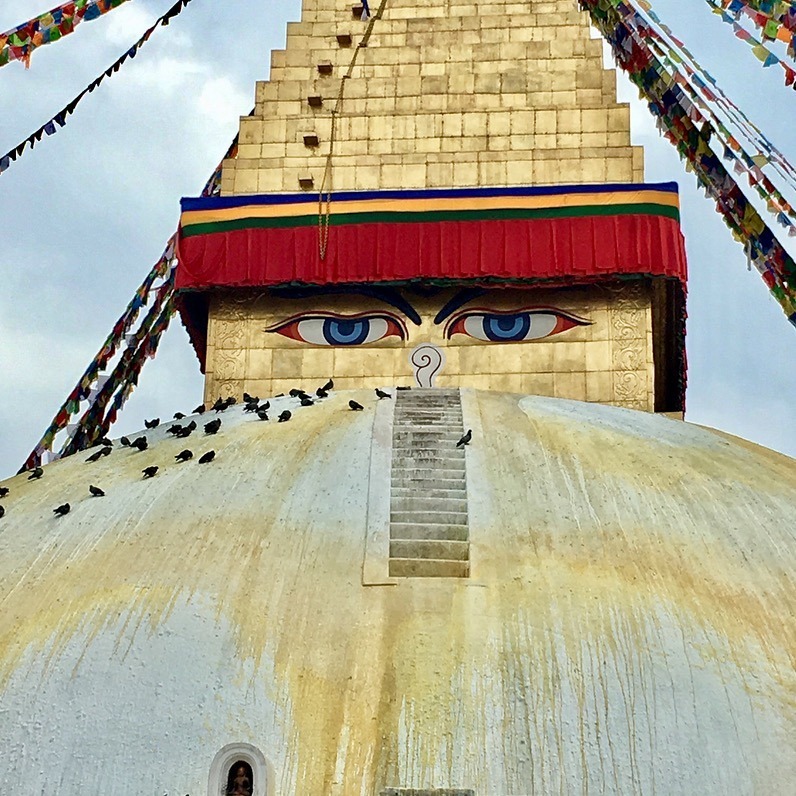 Boudhanath Stupa is the largest stupa in Nepal, and the holiest Tibetan Buddhist temple outside Tibet. 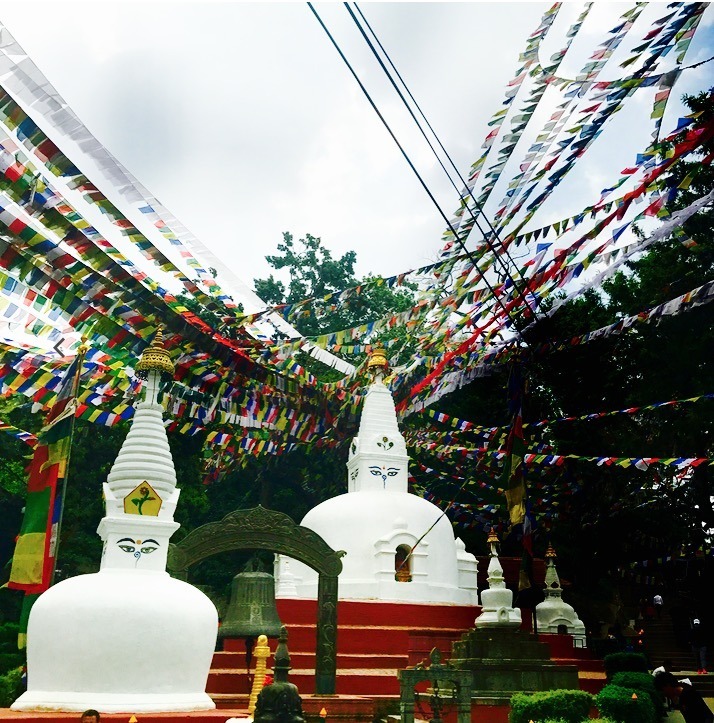 It’s the center of Tibetan culture in Kathmandu and you can see and feel the Buddhist symbolism all around. 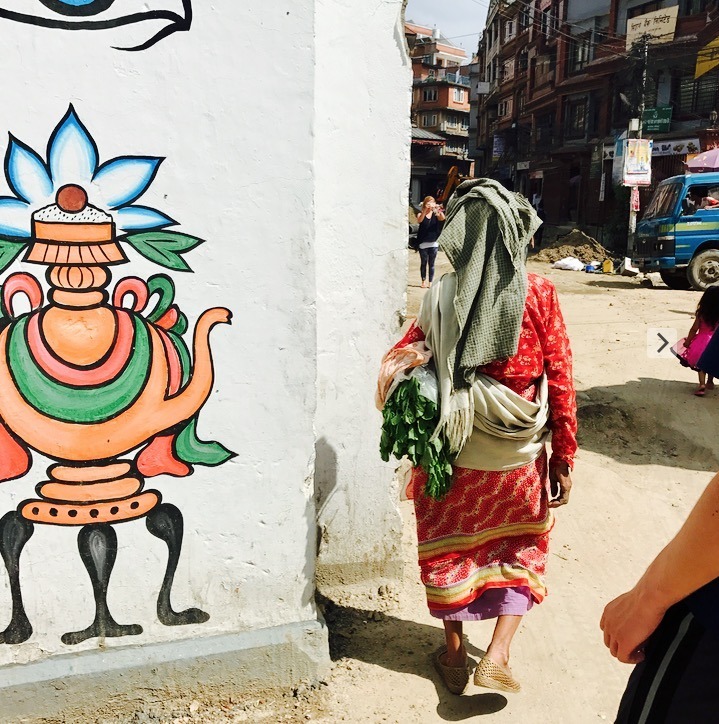 Surrounding Boudhanath Stupa are streets and alleys lined with colorful homes, Tibetan Buddhist monasteries, and street vendors. Spending the afternoon here was good for the heart and soul. 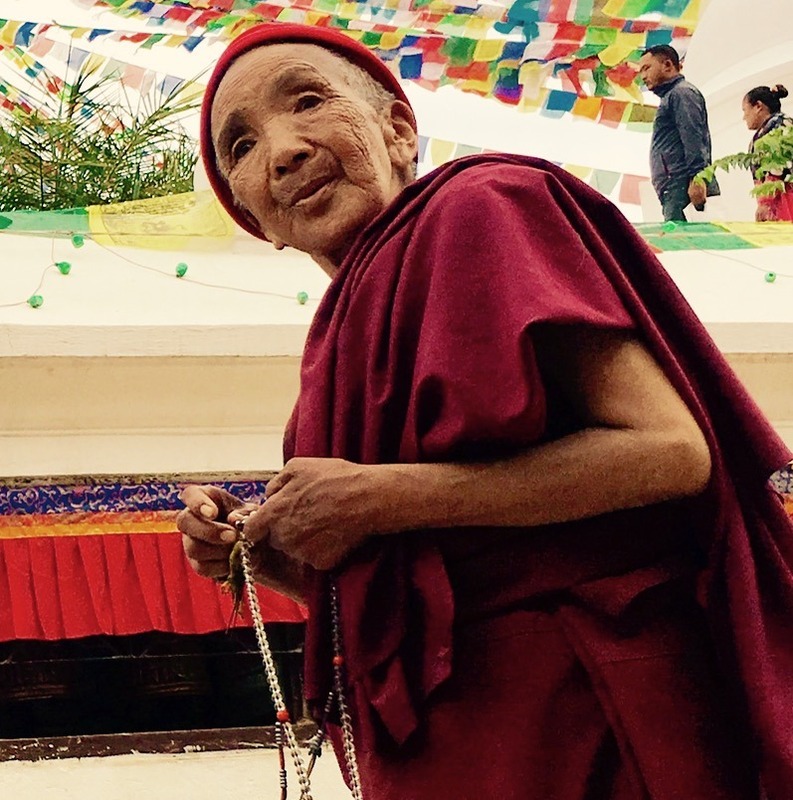 We sat with coffee and watched old ladies with prayer beads spin prayer wheels, Buddhist monks chant, and just soaked in the culture. 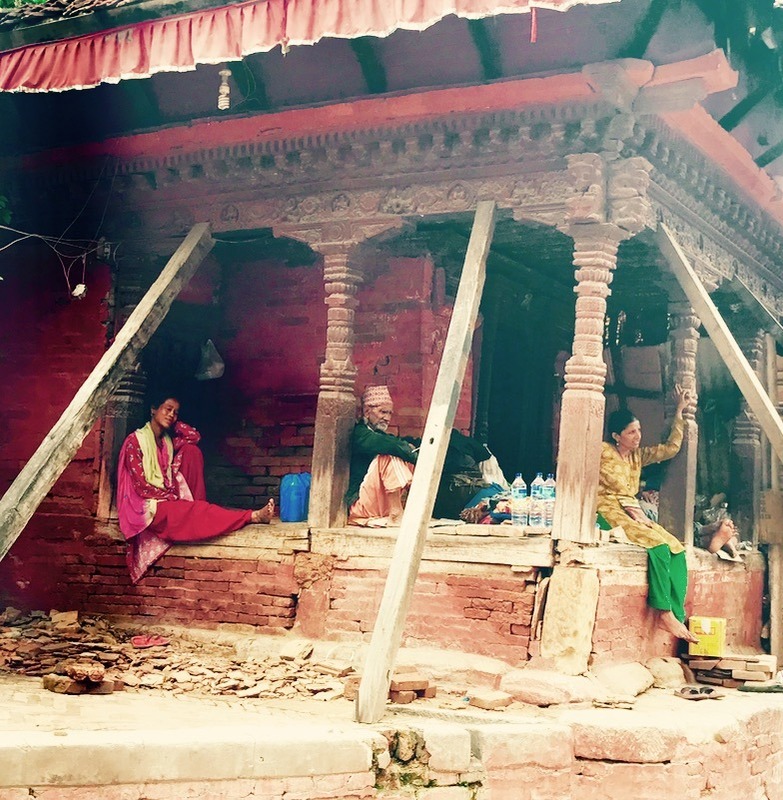 After a few days we understood Kathmandu a little more. 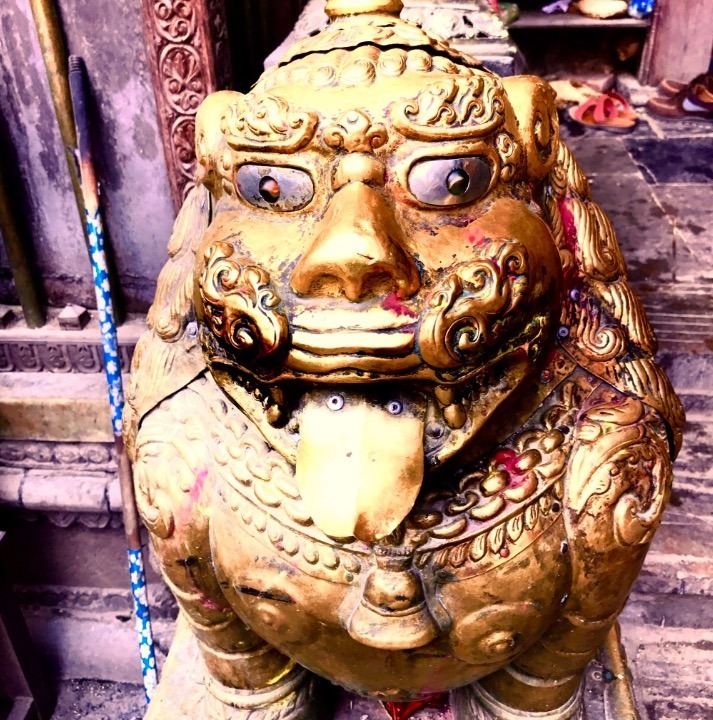 We loved the people, the temples, and we especially loved the food. Our family travel rule is we must try the local food. Sometimes it’s a challenge, but we were pleasantly surprised and enjoyed pretty much all of the Asian/Indian influenced food. We all agreed that momo’s (filled dumplings) served steamed or fried, are ‘the bomb’ according to the boys. 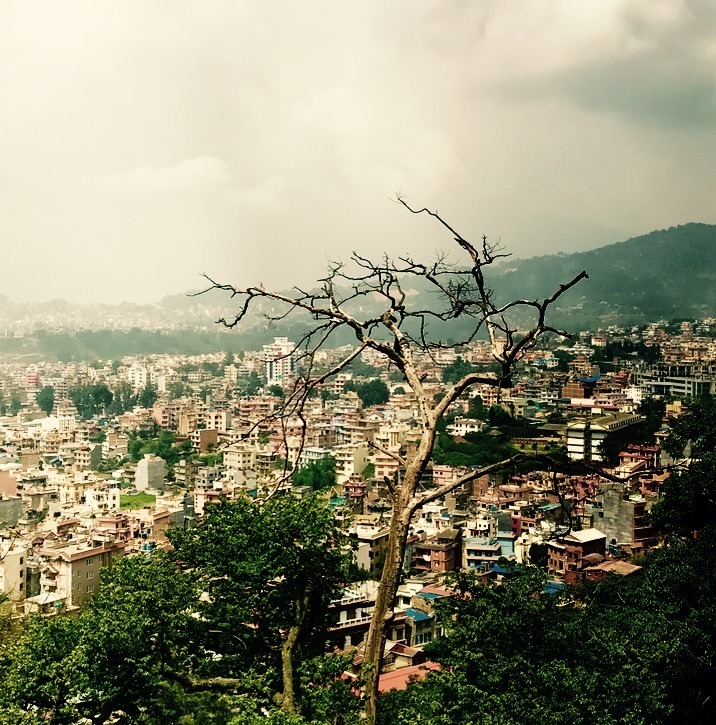 We ate our way through Kathmandu with Dal, rice, chow mein, momo’s, curry, and plenty of Gorkha and Everest beer to wash it down…obvi. 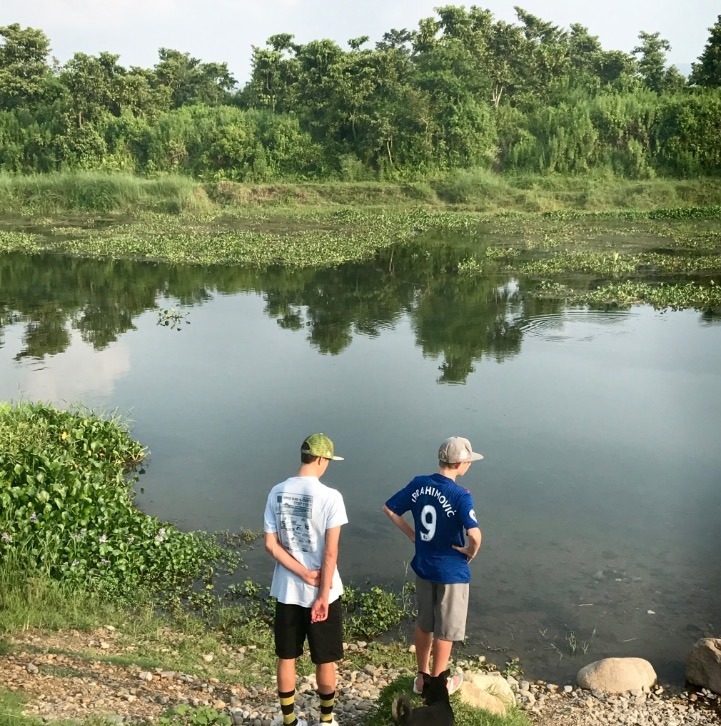 Our second stop was Chitwan National Park, a preserved area in south-central Nepal, known for its biodiversity. 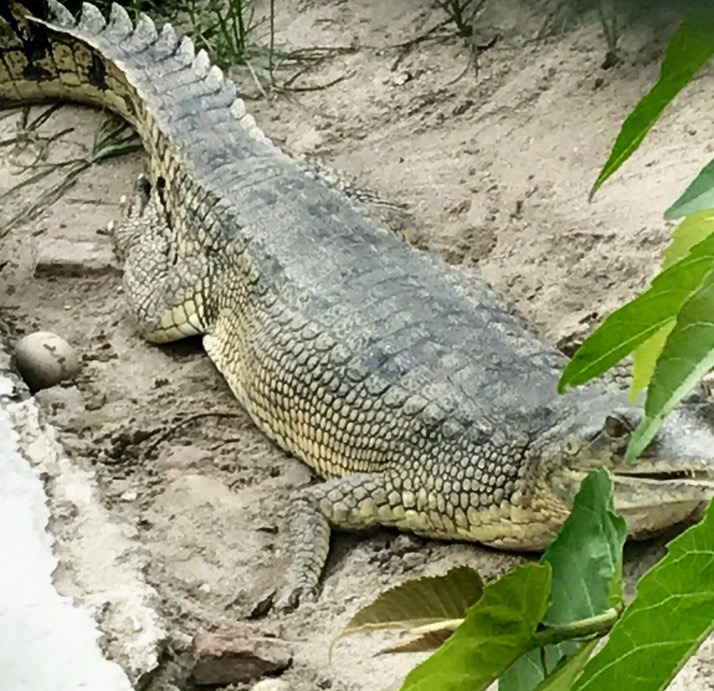 The dense forests and grassy plains are home to one-horned rhinos, crocodiles and Bengal tigers. 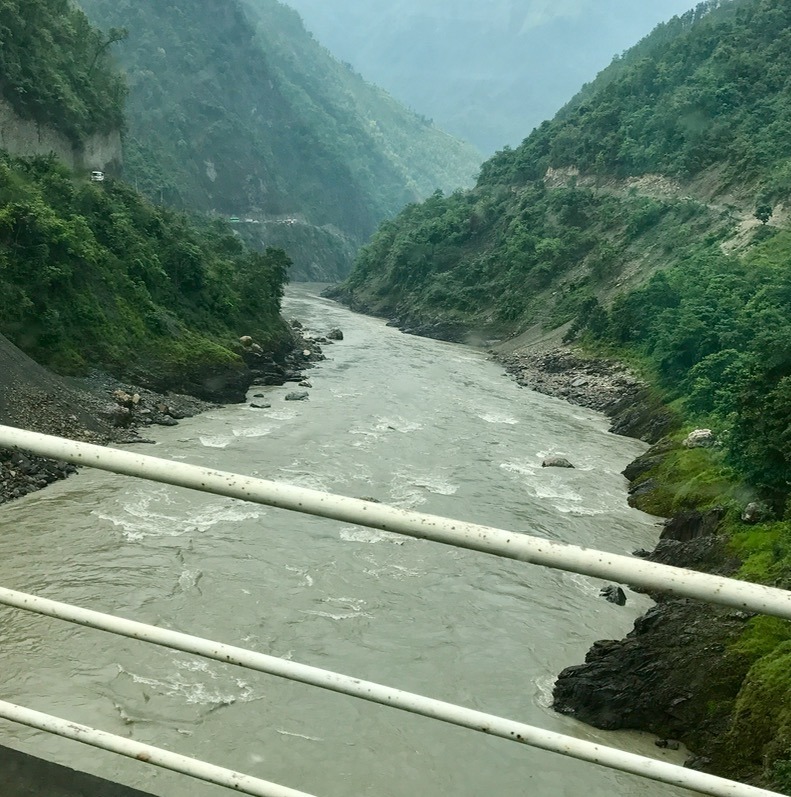 When we were told we needed to leave at 5am to arrive at ‘the pass’ in time as the road closes every day, I realized this might not be an easy drive. It turns out that ‘road’ is a very subjective term. We spent the next 6 hours driving a muddy, pot-hole filled area, trying to avoid construction trucks and falling off the edge of a cliff! 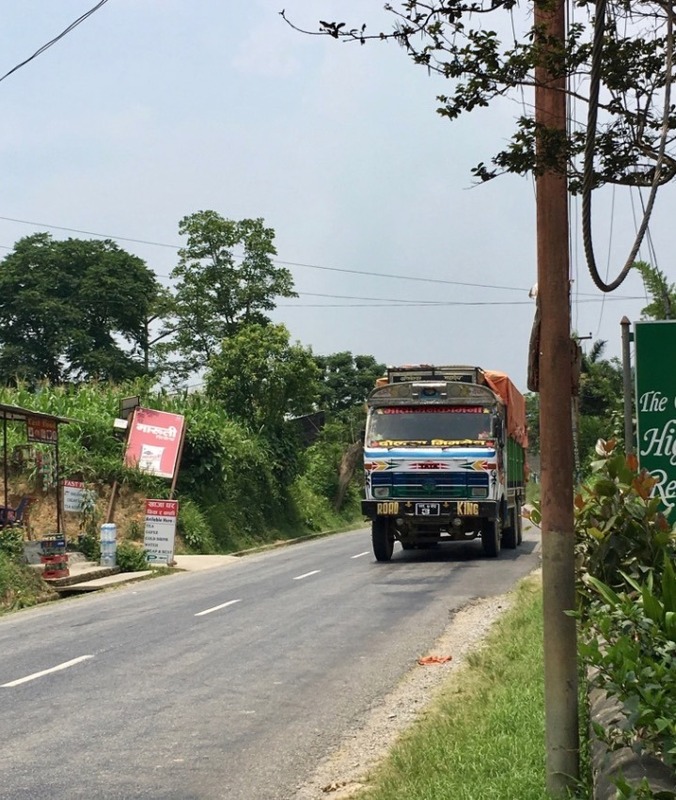 The ‘road’ is under heavy construction… partially due to the earthquake and partially due to it being a third world country, and was a white knuckle ride the whole way. The road at the top of this picture is where we were headed…. although it was tricky to see through the dust! Fortunately our driver, Quesub, was ‘a boss’ according to the boys. 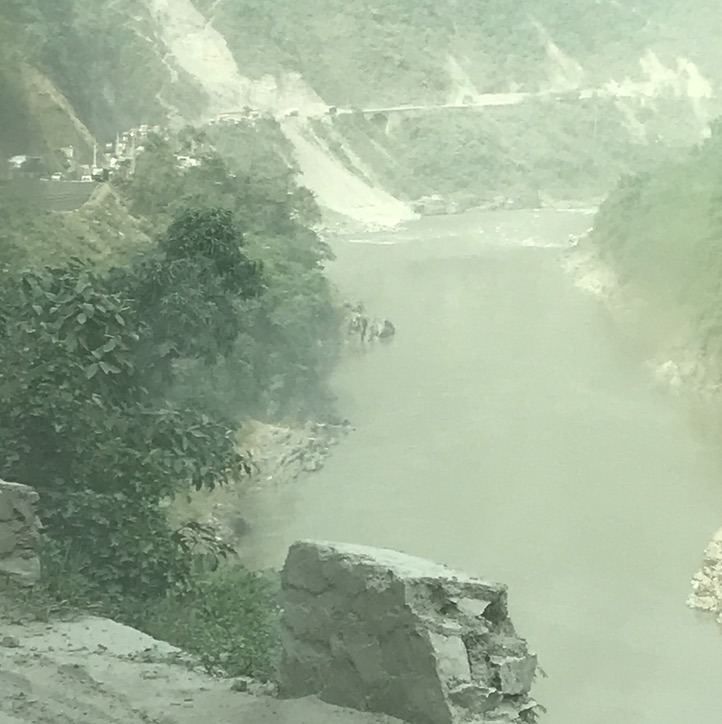 He swerved trucks at the last second, evaded the deepest pot holes to avoid popping a tire, and clung to the ‘road’ so we didn’t skid off the sheer 500ft drop into a river below. When we finally arrived at the Green Park resort, we needed an hour to chill and recover (and perhaps drink a cold beer or two!) We knew we were in the middle of the jungle by the humidity, the many bugs, the soothing animal sounds, and the lack of people. It was amazingly peaceful and serene. 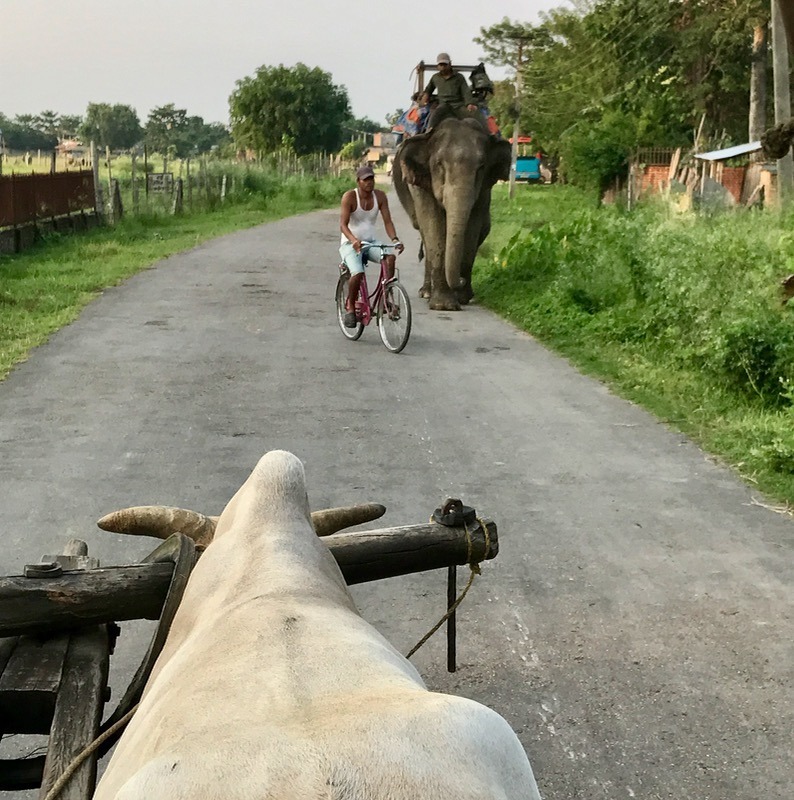 That afternoon we visited a local village using the only mode of public transportation… the ox-cart. Of course the ox needed a big ole pee, much to the boys’ delight (cause really there’s nothing funnier to boys than animals relieving themselves!) and we were on our way. 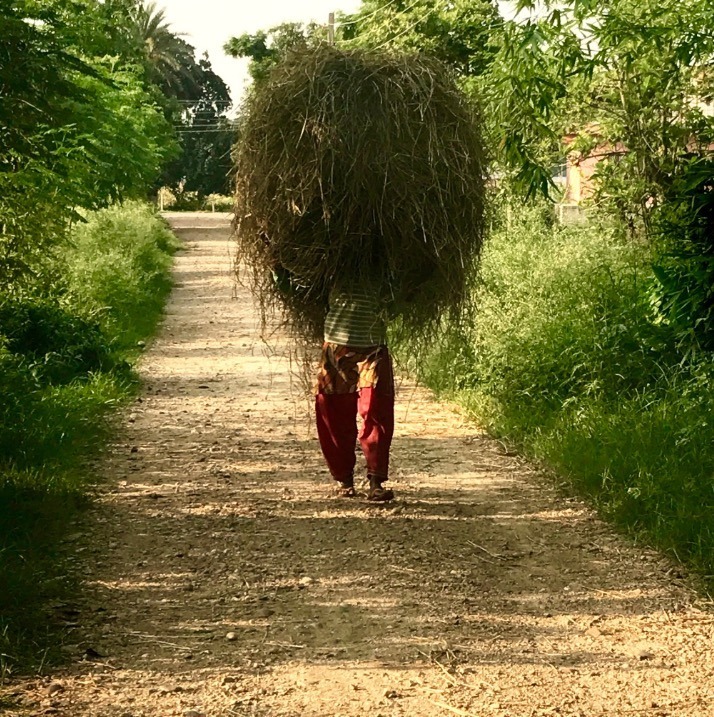 We visited the villagers in their huts made from ox dung, the local schools, and women shucking harvested corn and laying it out to dry on the side of the road. It was definitely a simple, peaceful way of life. 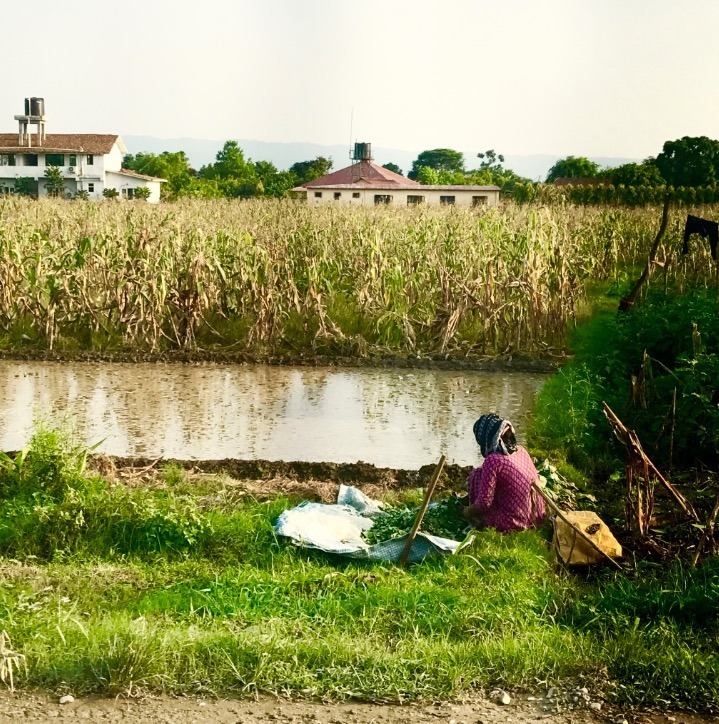 We headed to the river (avoiding the edge because of crocs) and enjoyed the local foods that were served to us. Sebastian wanted a ‘mocktail’ and in a momentary lapse of judgment, I allowed him to get a virgin pina-coloda. BIG MISTAKE! 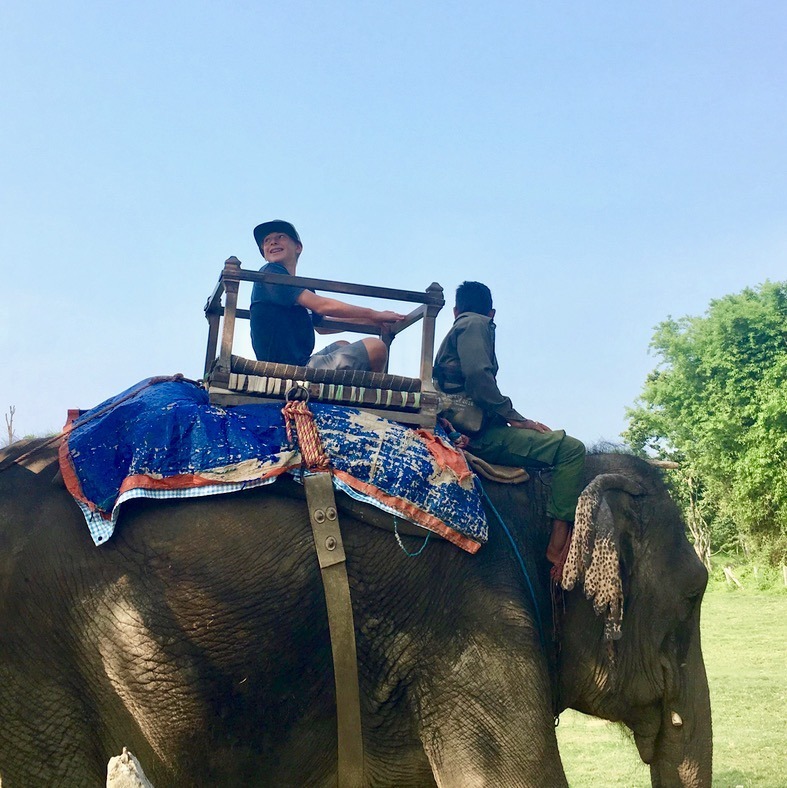 We woke the next morning at 6am for our jungle safari to find Julian already on his deck, wearing his robe and free hotel slippers… “oh hey mom, I’m just chilling and I made coffee for everyone, do you want one?” That kid just cracks me up! However, we had a big problem with Sebastian… fever, liquids flowing from every body part and he was feeling terrible. Crap (pardon the pun), I realized that the pina-colada might not have been the best decision. We tried to revive him, but it was apparent he needed to be 2ft from the bathroom. 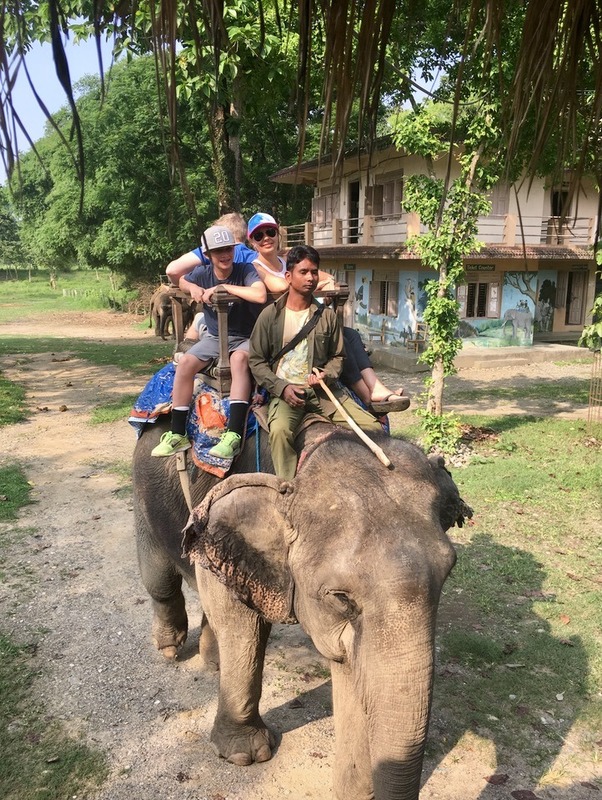 The resort assured us they’d keep an eye on him and bring liquids, so the three of us headed to our jungle safari. 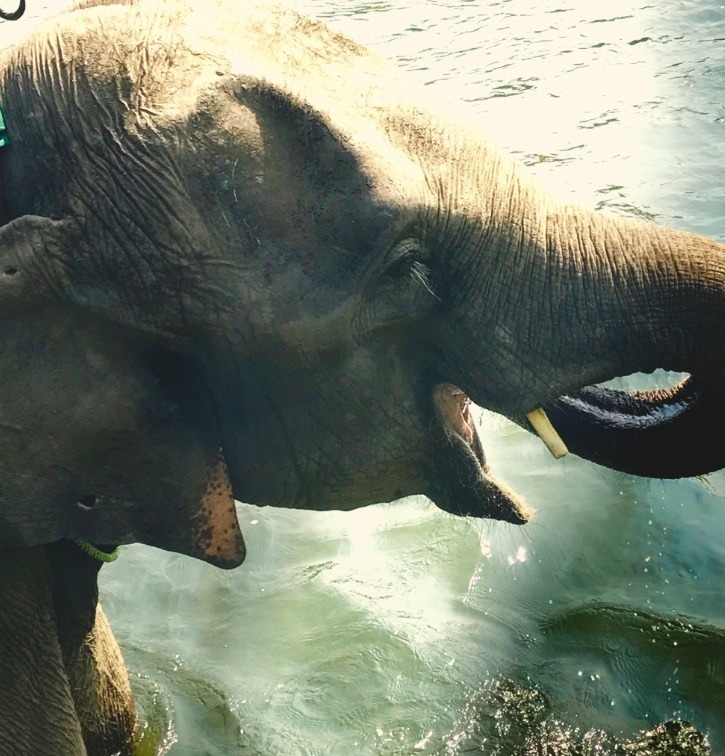 We rode elephants, saw incredible birds, and canoed up the river. 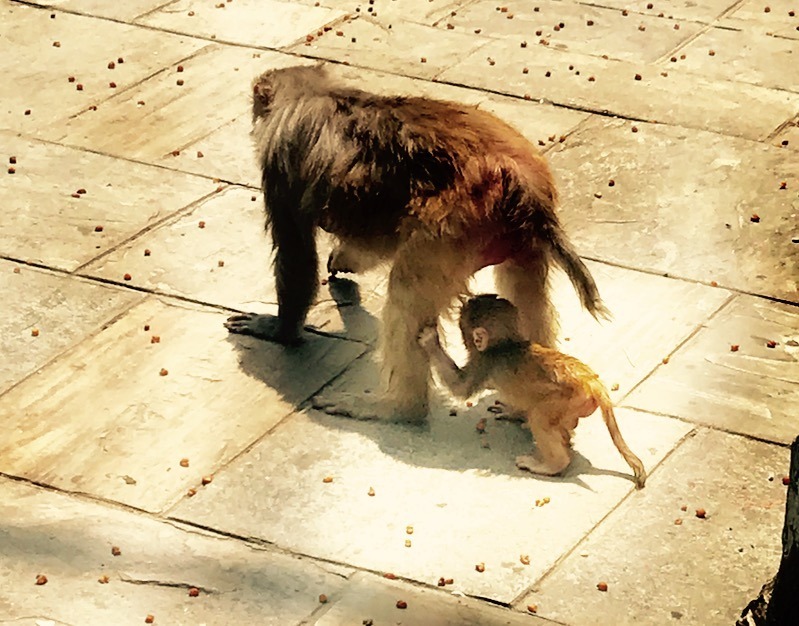 It was hot, humid, and the sightings were pretty slim to be honest…. 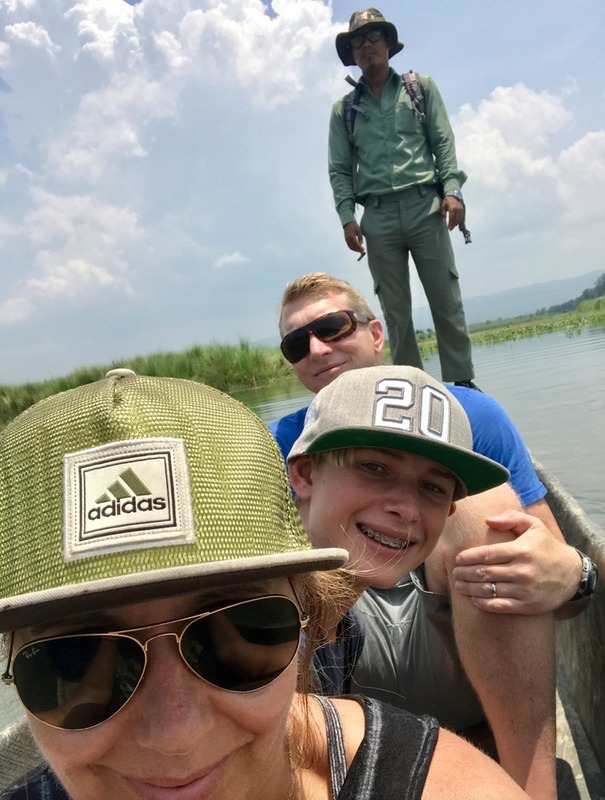 A far cry from our African safari where the animals were practically sniffing our ankles, but non-the-less we connected with mother nature. We headed home, hot and sticky to find good news!!! Sebastian was feeling better, but not 100%. We fed him fresh orange juice and soup, and his brother shared everything he missed (much to his delight! 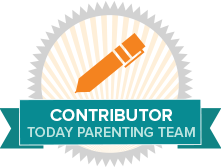 ), and we headed to bed… after a cold beer of course! We woke the next day to find Sebastian feeling better. The thought of a long bouncy car ride to Pokhura with ‘Delhi Belly’ did not sound fun at all. 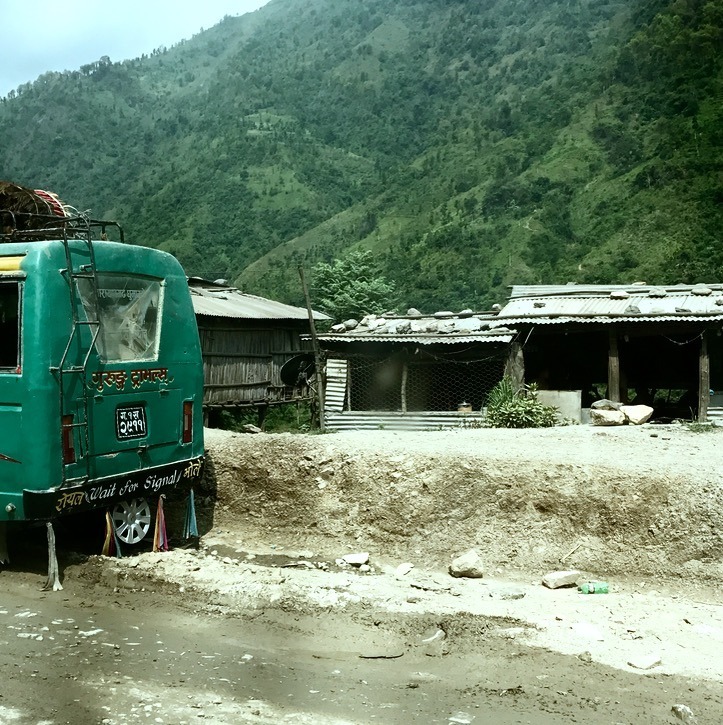 Pokhara is only 86km from Chitwan, but due to hills and poor road condition, our drive took 6 hours. 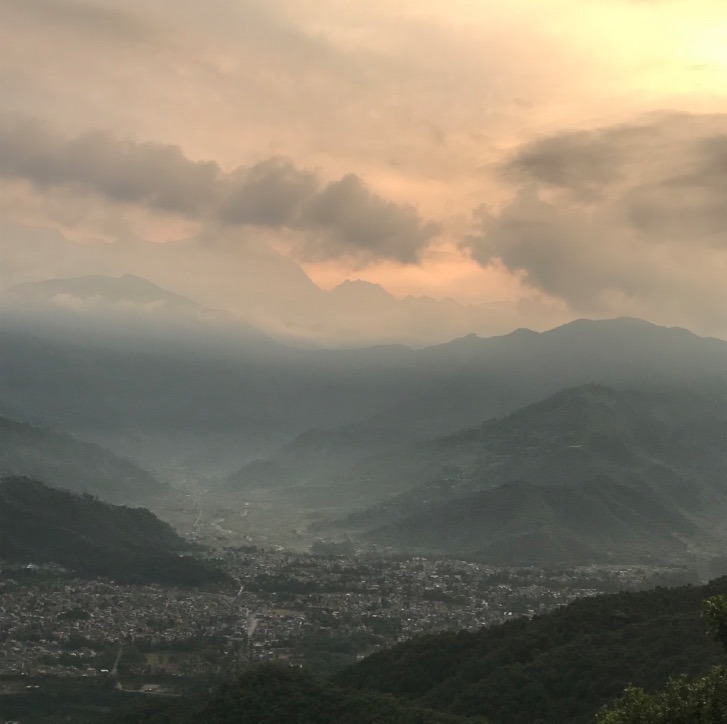 It’s worth noting that the view is simply breathtaking, and you drive winding roads of Nepal around the mountains with scenic views the whole way, and Quesub delivered us safely to our next destination, the Fishtail Lodge in Pokhara. 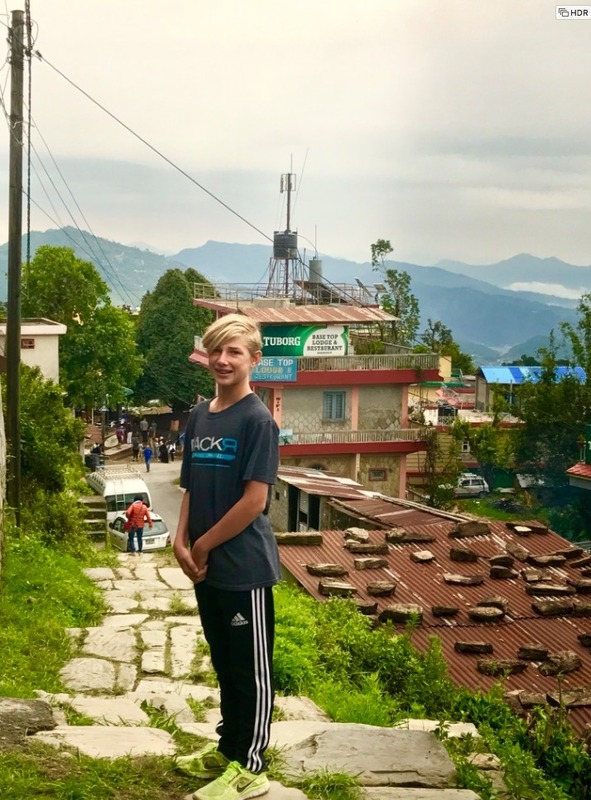 The air was clean and clear, the views of snow covered mountains breathtaking, and the city was full of super cool back packers preparing to trek mountains. 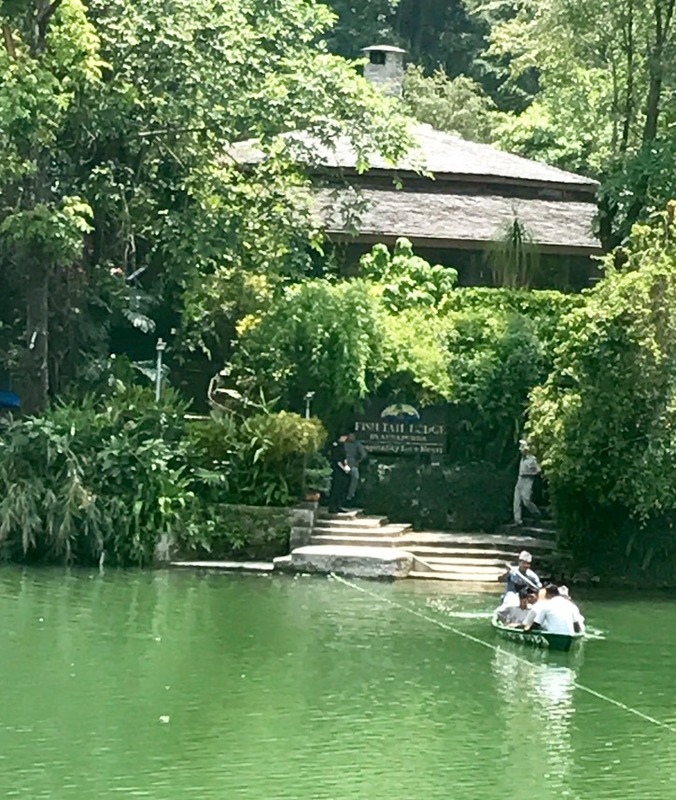 The hotel was an island in the middle of Fewa Lake and we took a shuttle float to get us to reception… how cool is that!? 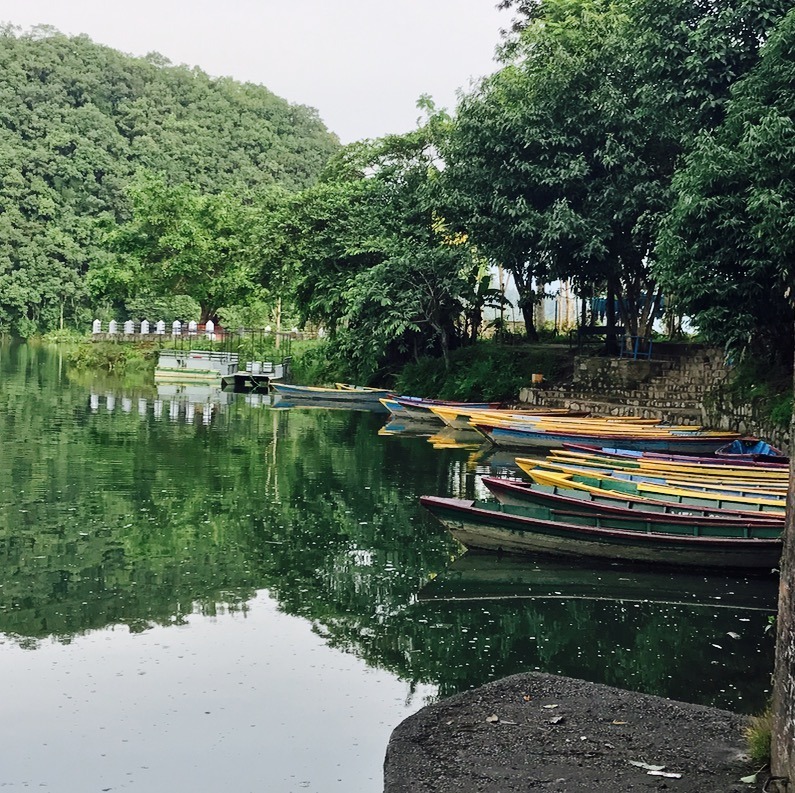 With views of the lake, forest hills and the panorama of the Annapurna range and Mount “Machhapuchre” (Fish Tail), we immediately felt calm, relaxed and ready to explore this new city. 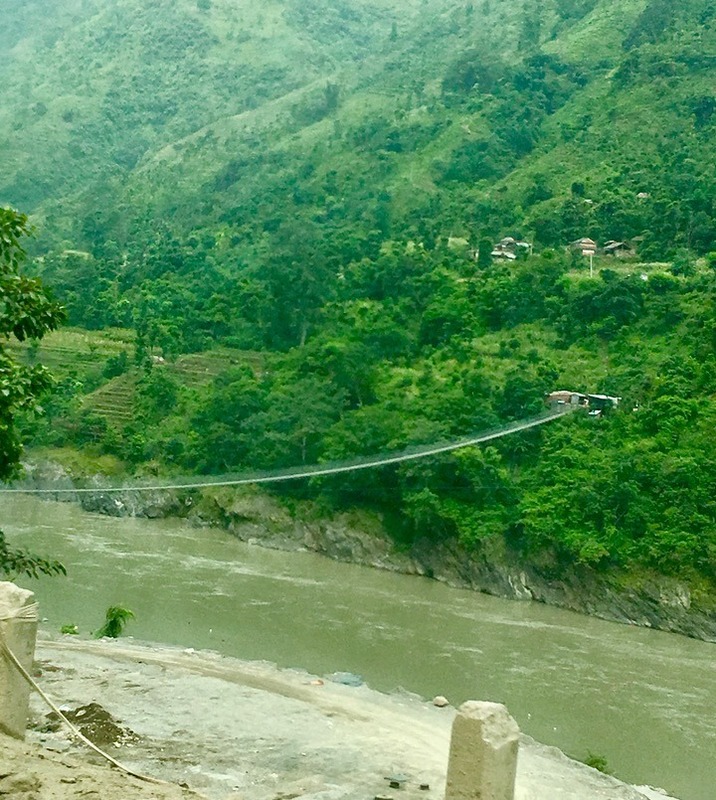 We headed out the next day to Devi Fall’s, a large waterfall located in the Kaski District. The water forms a 500ft underground tunnel after reaching the bottom and is approximately 100ft below ground level. We descended into the damp, loud, tunnel… but I have to say the construction workers jack hammering at 100ft below ground level was rather unsettling. I’m not a fan of underground closed spaces, and the thought of an earthquake did cross my mind. 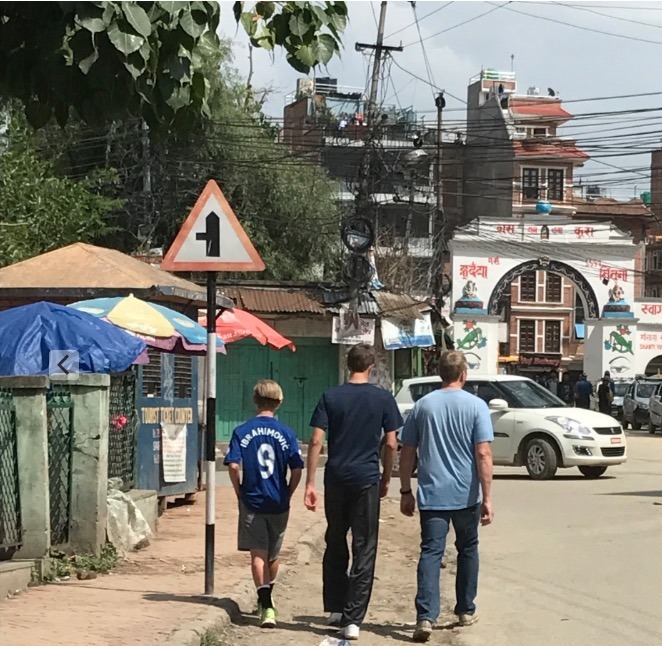 I quickly pulled the boys sweating and short of breath from the dense tunnel, and headed for a little shopping, bartering, and cold drinks. 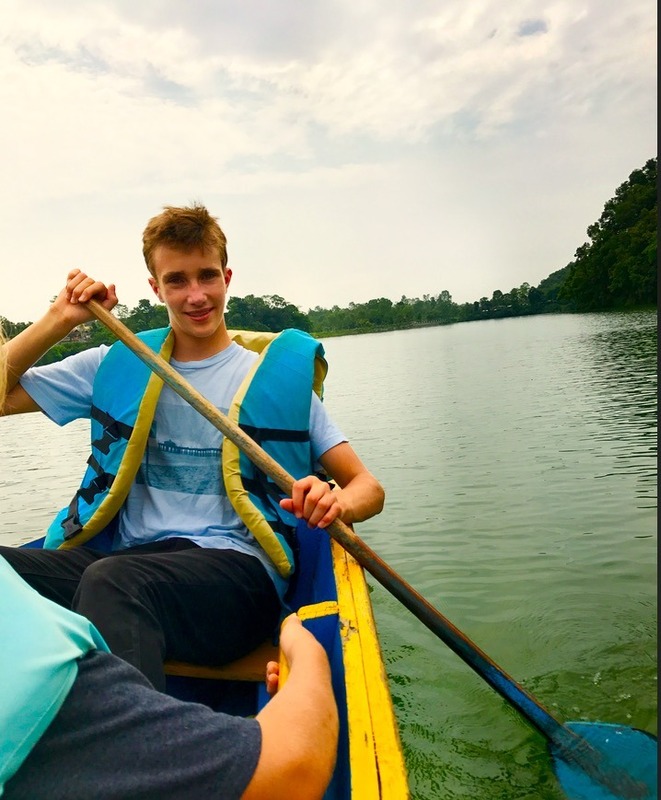 The next day was scheduled to explore Lake Fewa. 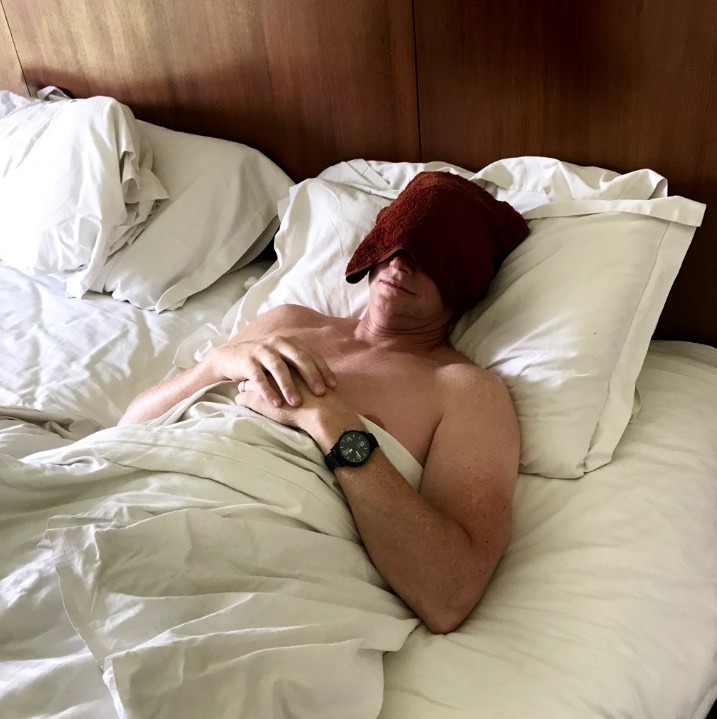 After breakfast Hot Hubby said, “Babe, feel my head…. do you feel a fever?” After I dryly told him that humidity was at about 85% and of course we all feel hot, he tried to tell me that I have no feelings. Strike two to Delhi Belly! We ditched Hot Hubby, left him moaning into a cold washcloth, shivering, with a large glass of water, to explore the town. (I’ve never claimed to be a nurse!) 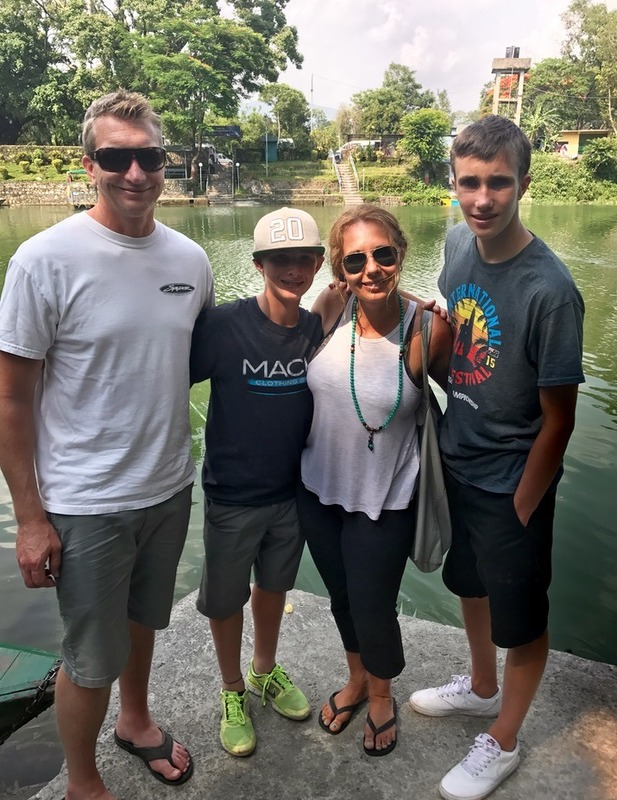 The boys and I took a boat to Barahi Temple in the middle of the lake, found delicious samosas from a street vendor and shopped. It was hotter than ever, so we headed back for a swim in the pool. This felt heavenly, and I don’t know if my book and beer, or watching Julian try and catch the attention of two cute French girls in the pool, was more fun. 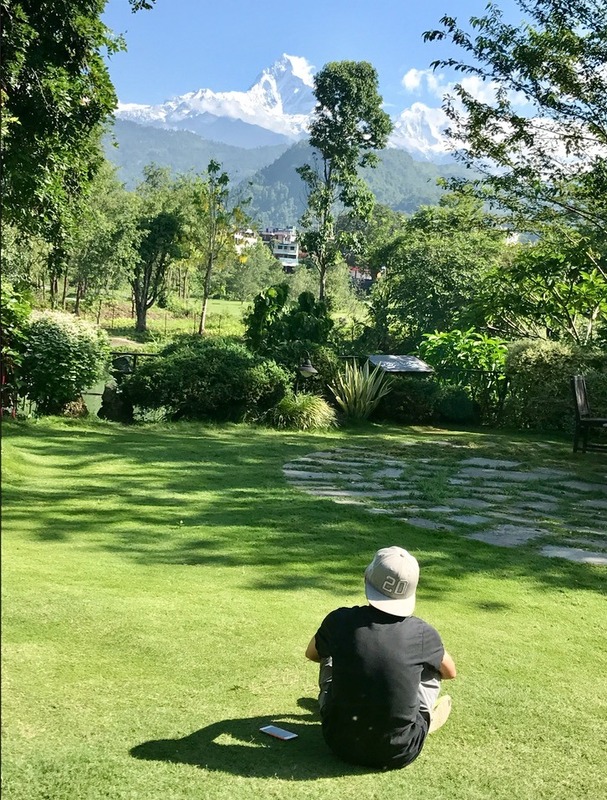 Thankfully, Hot Hubby recovered from Delhi Belly ready to head out the next day at 4.30am to climb Sarangkot mountain to see the sunrise. 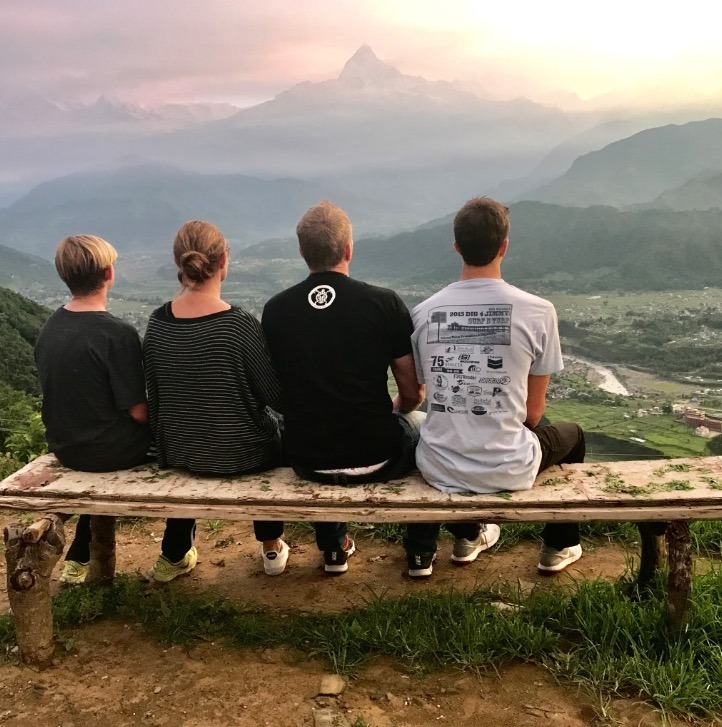 Sarangkot is a small hilltop with breathtaking views of sunrise over the Annapurna range and Fishtail Mountain. 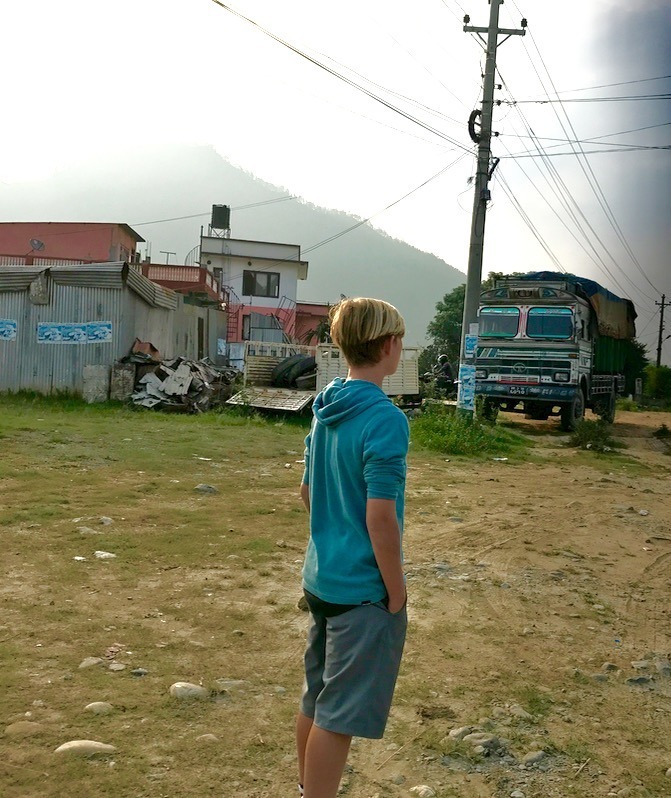 We sat in amazement watching panoramic pictures of the Himalayan peaks slowly change colors. We all agreed the harsh 4.30am wake up call was definitely worth it. After we soaked in the crystal clear view, and took incredible pictures, we headed back to the lodge for a fantastic breakfast. 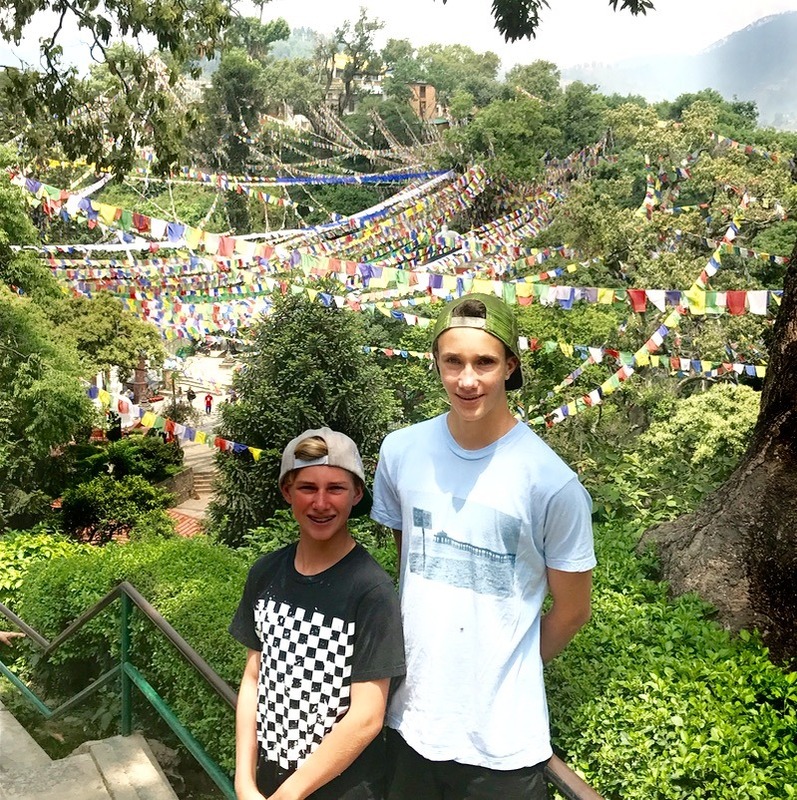 We said our final goodbye to Pokhura, and took a short flight to Kathmandu, ready to head to Paro, Bhutan. 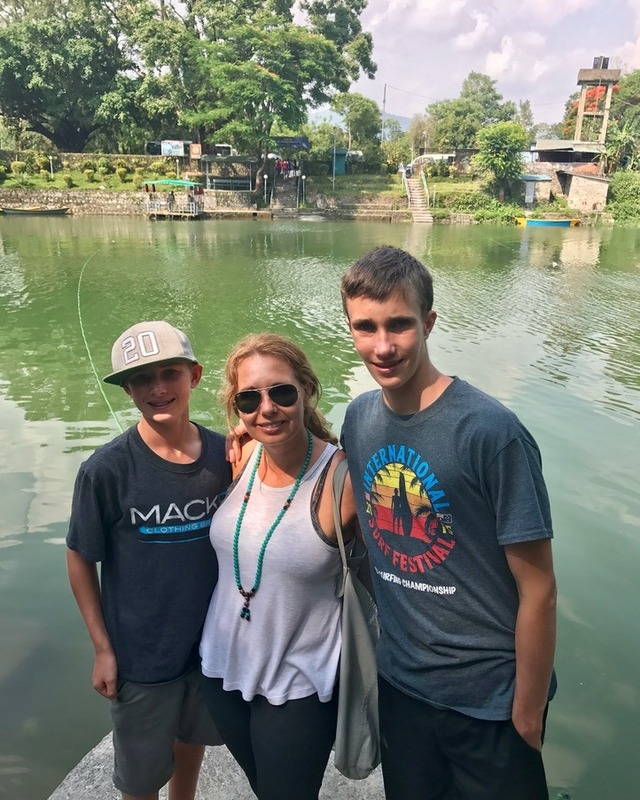 Many people shy away from traveling to developing countries with children, and we certainly prepare with required shots and medications. 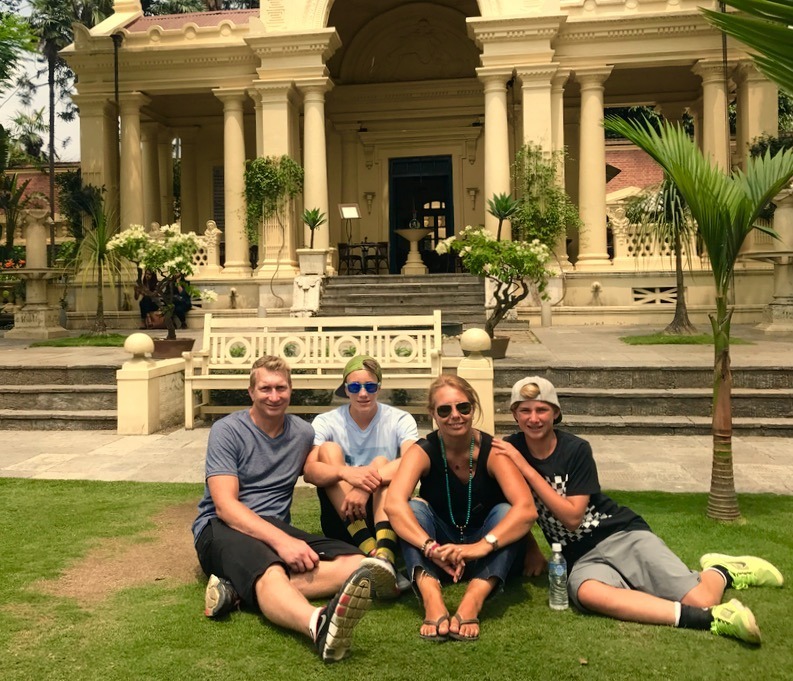 Sure it takes more effort for adventure travel, but introducing our children to the real life wonders of the world and exploring areas they have only read about in books, is changing their lives. 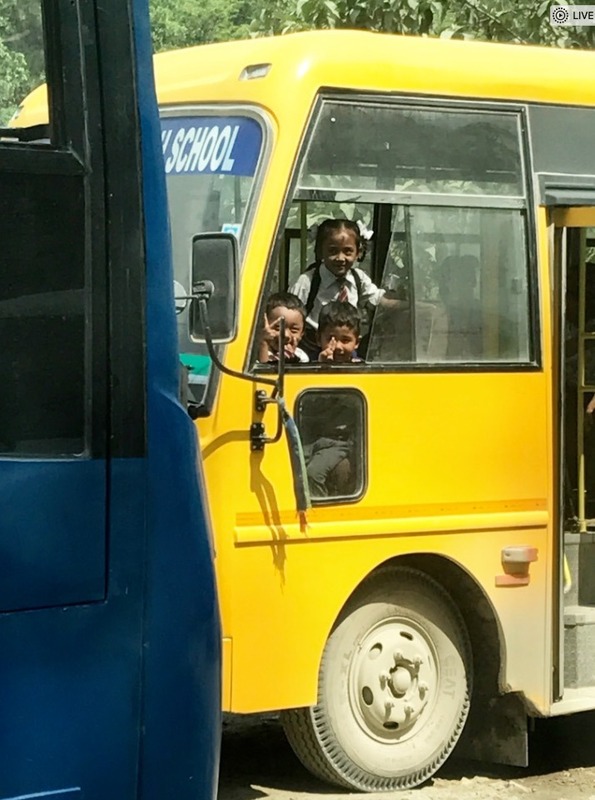 My kids were born into a rich Western country by chance, and have been given opportunities that most children in the world can only dream of. I want them to appreciate what they have and continue to be inspired to open their minds to this amazing world! 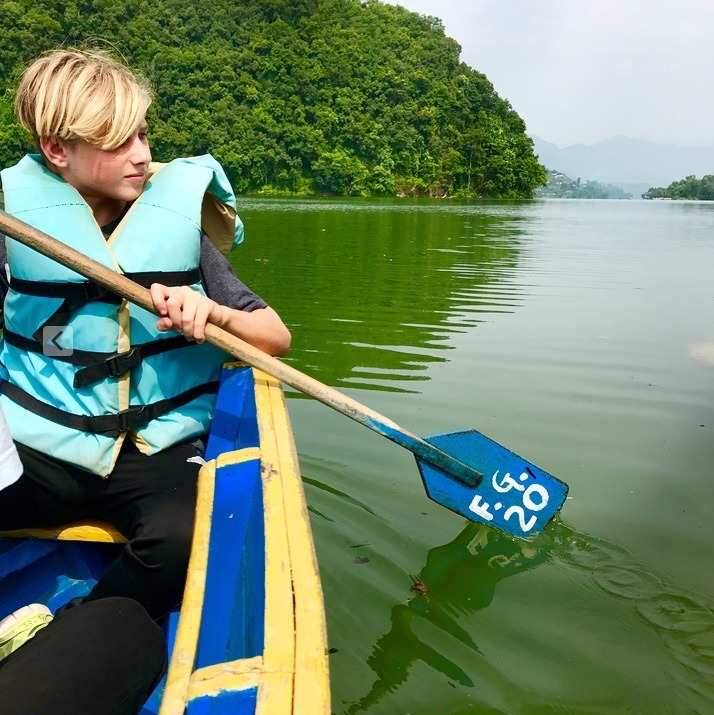 Read how we choose our destinations here…How our family picks the (often third world) countries for adventure travel with kids! I read this post twice! I loved it THAT much! Loved your post!! 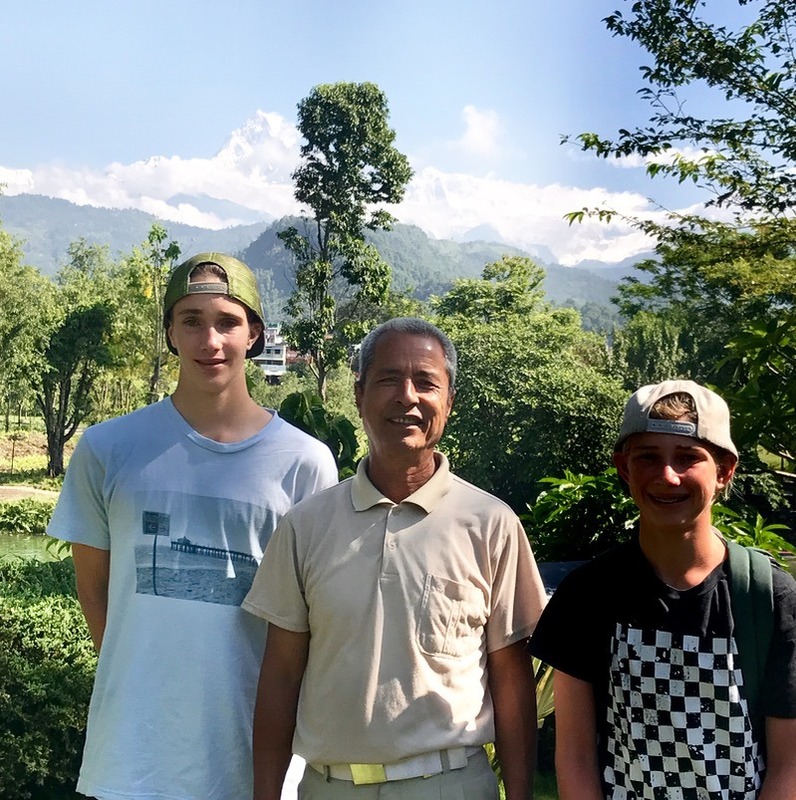 We are planning to take a family trip to Nepal with our teenage son during the winter break. Do you have any recommendation on the local travel agency that provides private tours? Thanks! Hi Jenny! You will love it, and it’s the perfect trip for teenagers. 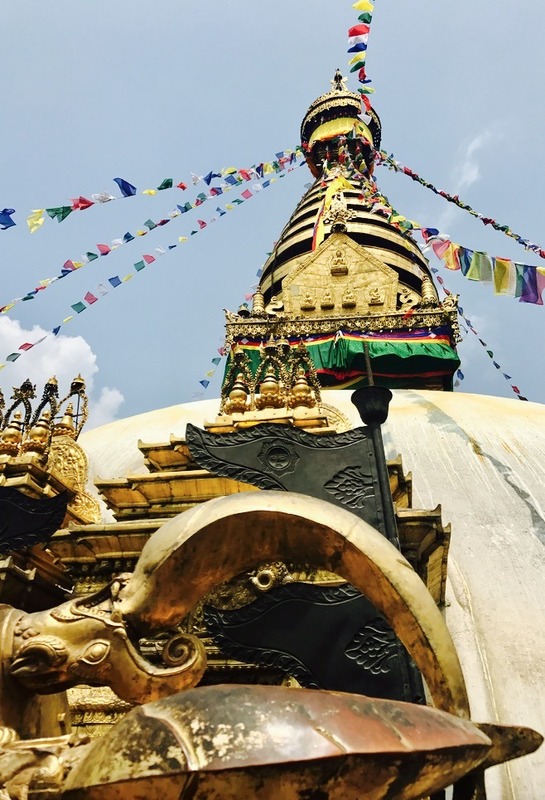 We used https://www.indiaodysseytours.com/ for Bhutan and Nepal tours, and we customized it for our needs. They were great and I would highly recommend them. Have the BEST time and enjoy the ‘Momo’s’… they’re delicious!